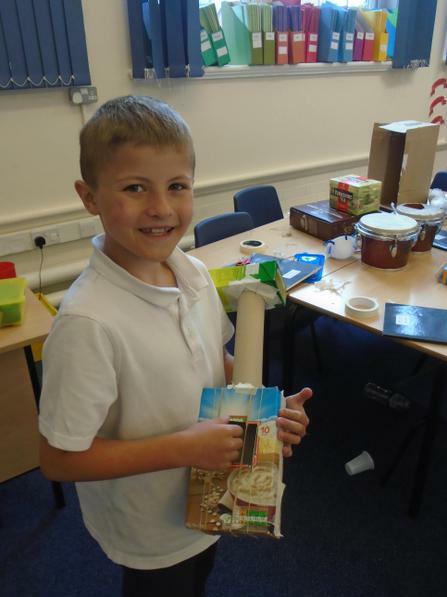 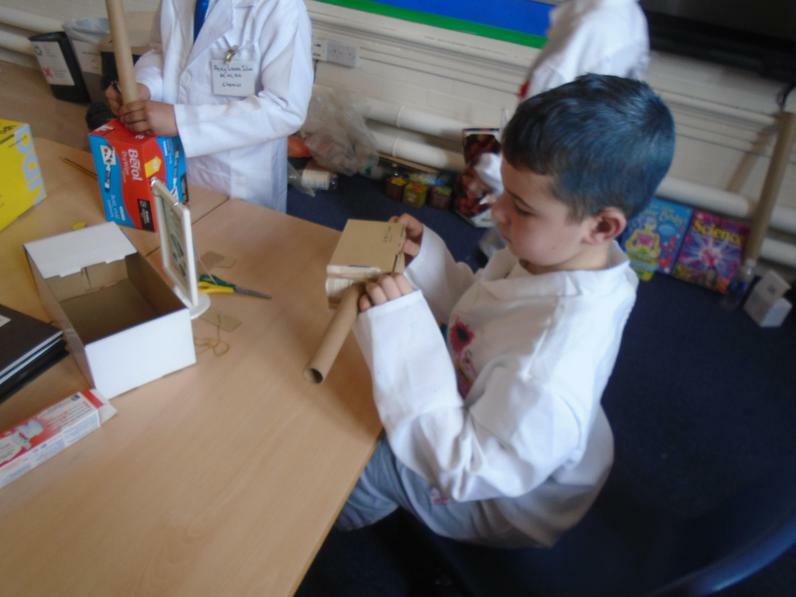 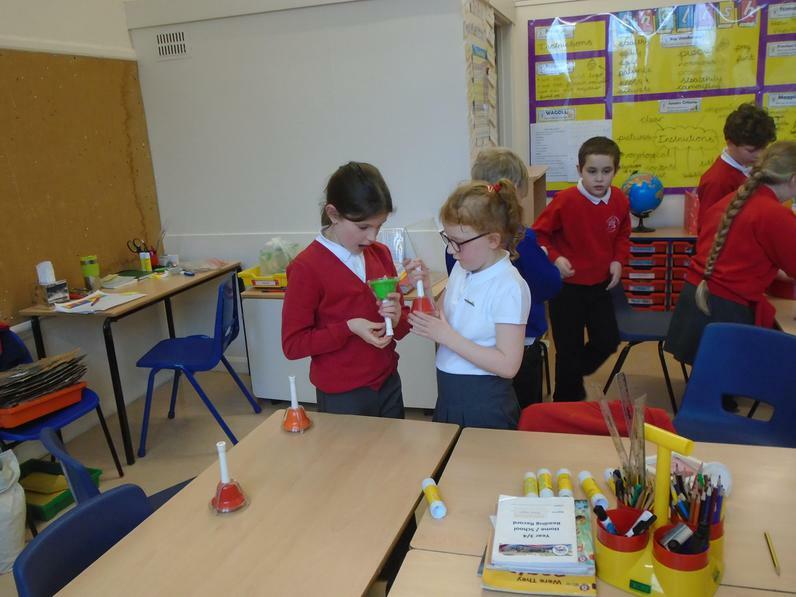 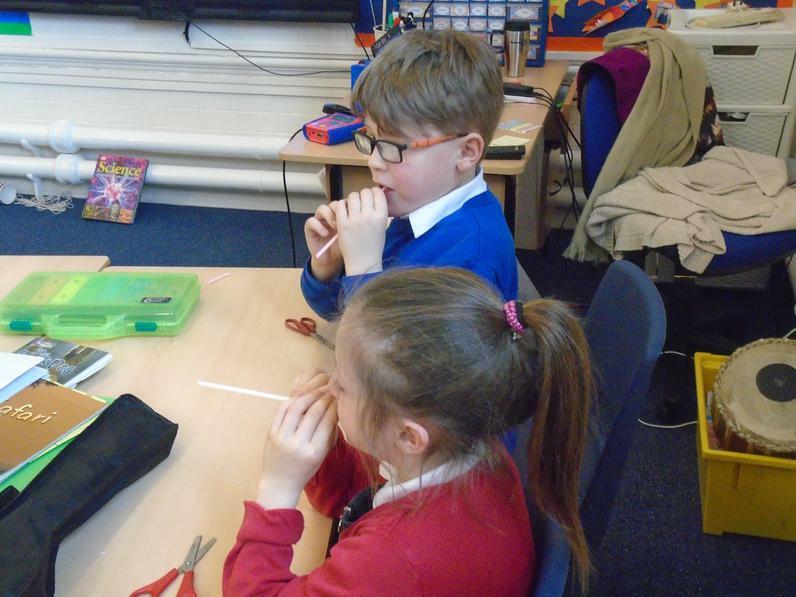 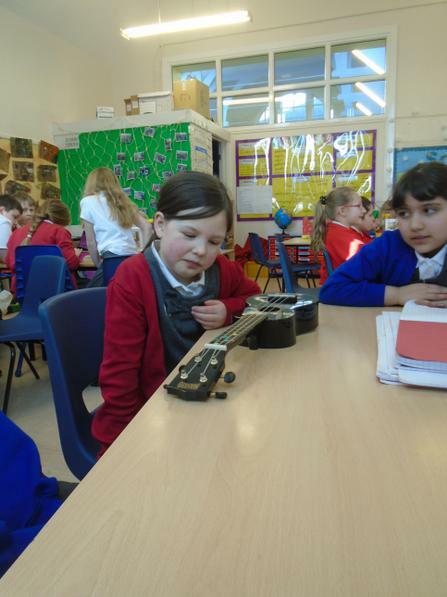 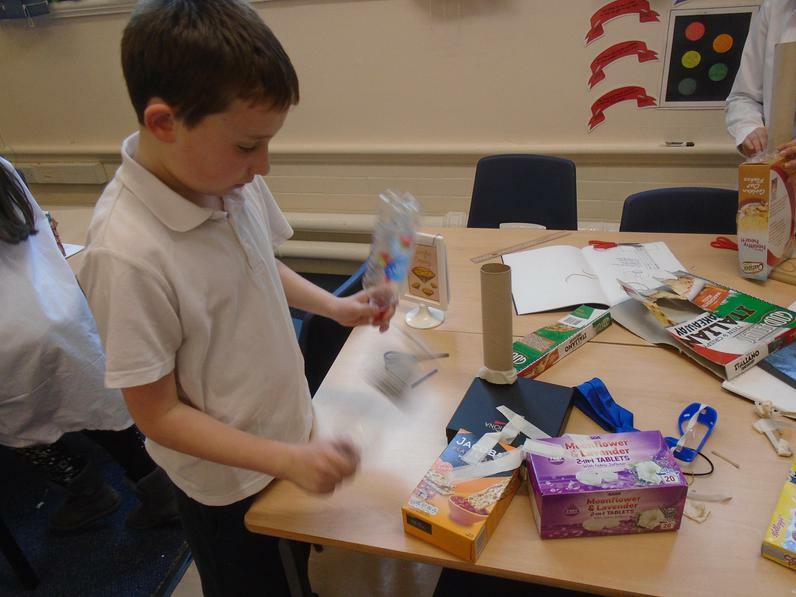 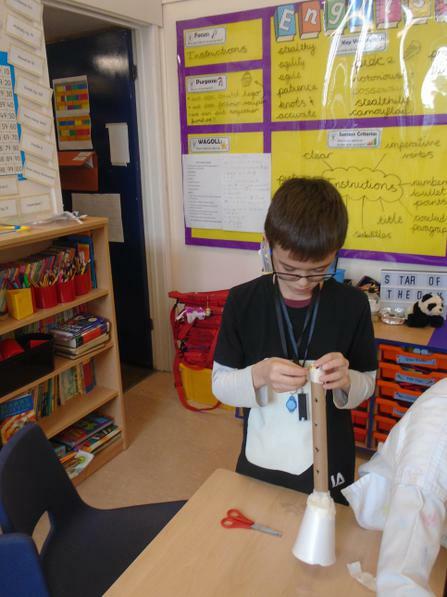 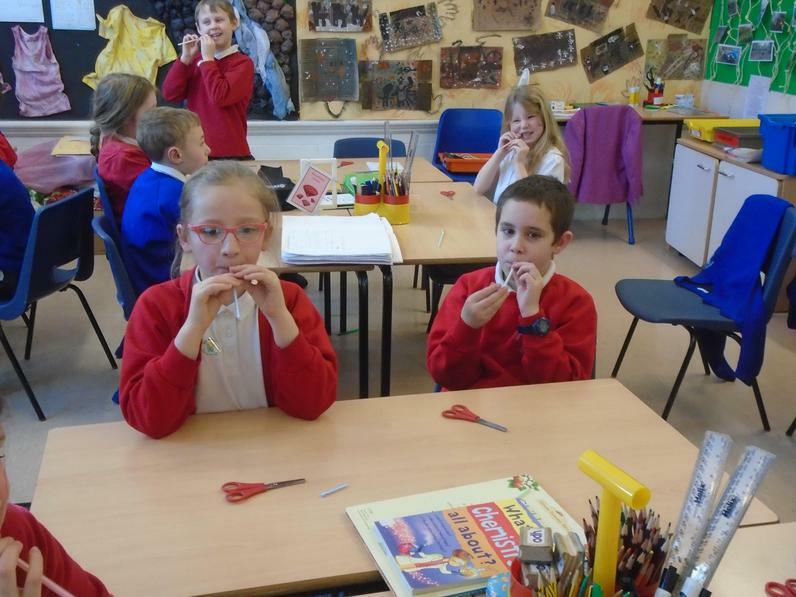 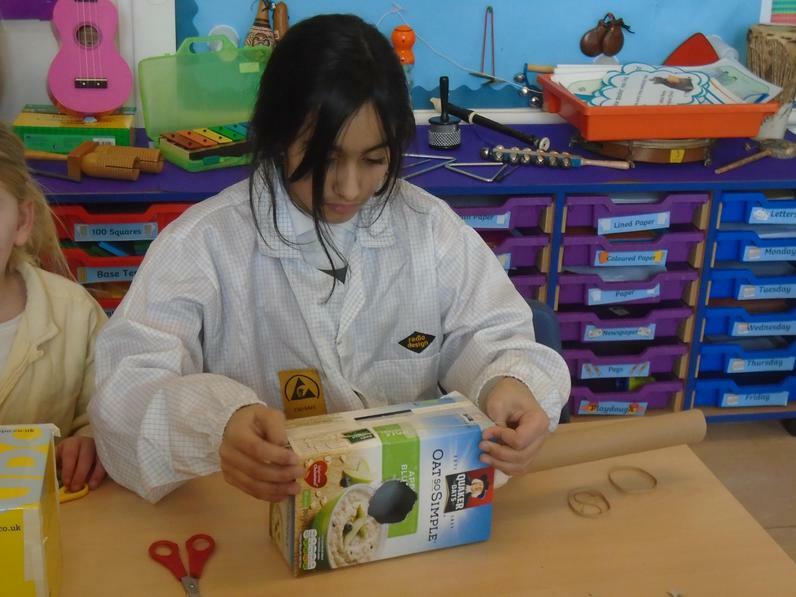 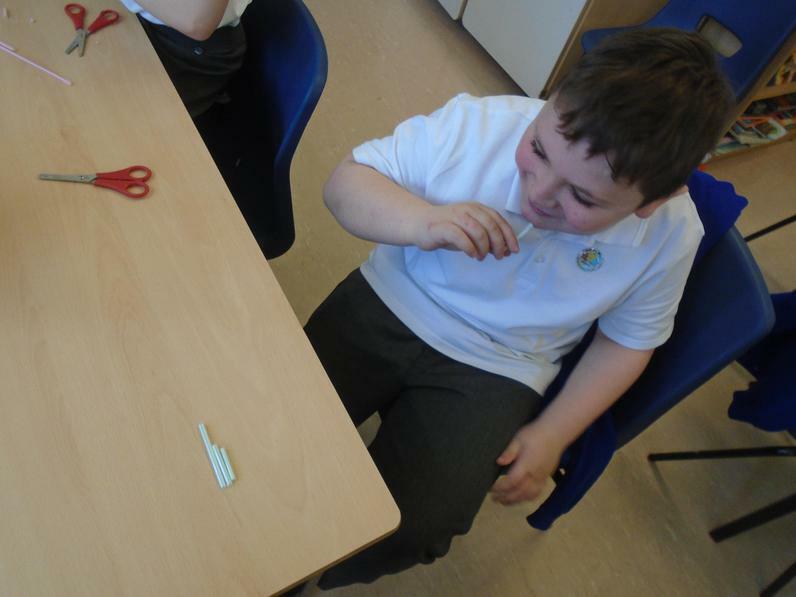 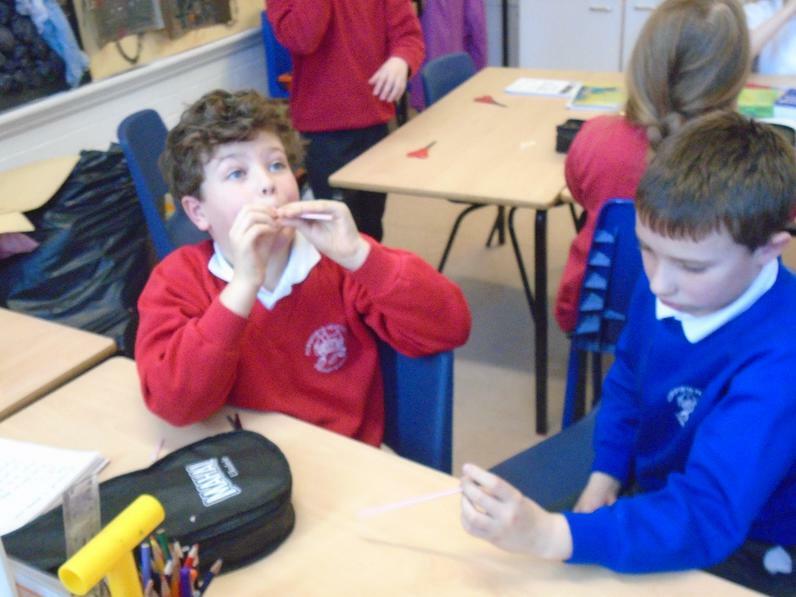 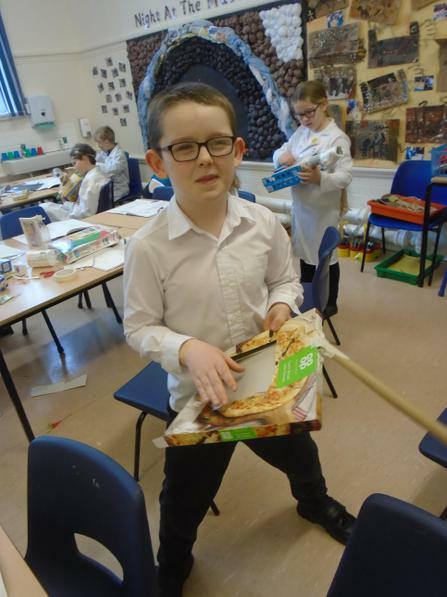 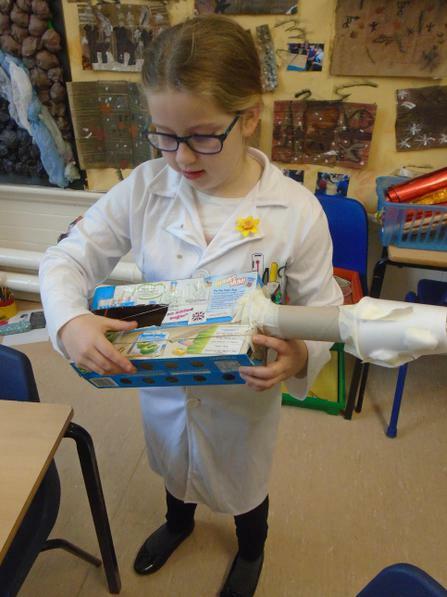 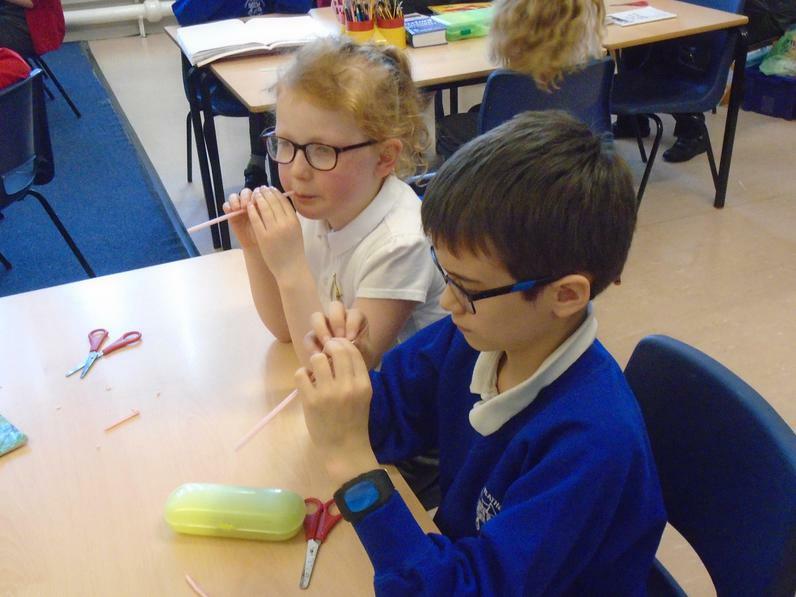 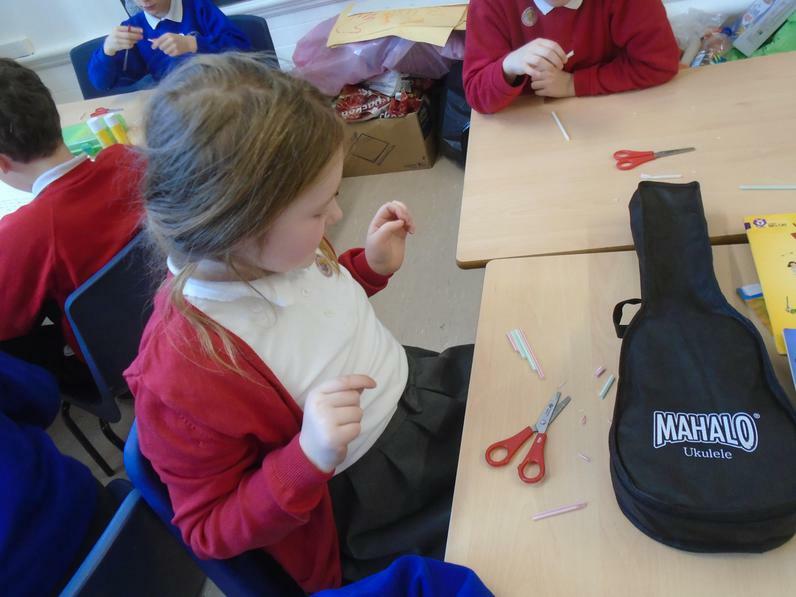 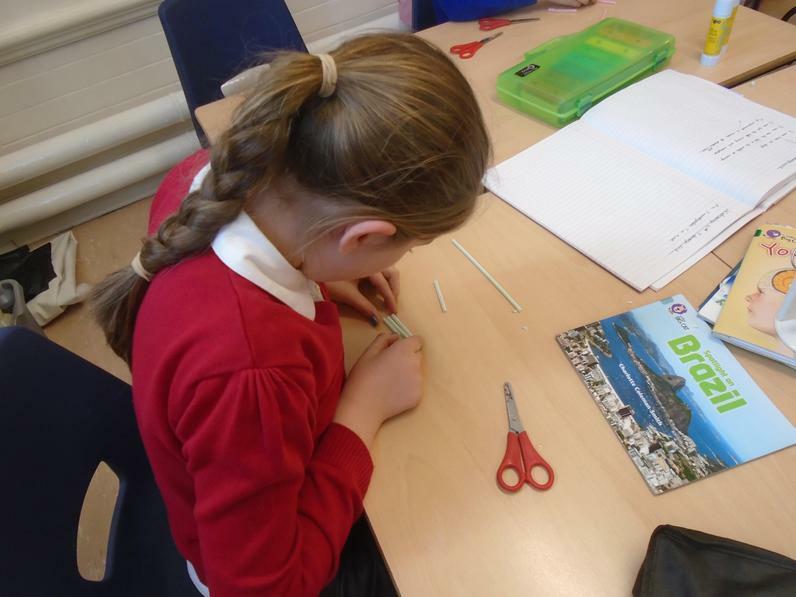 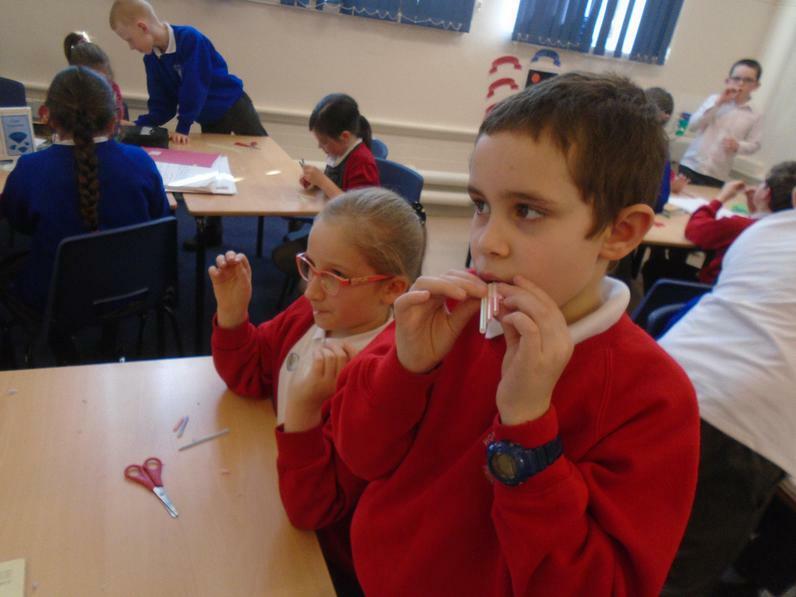 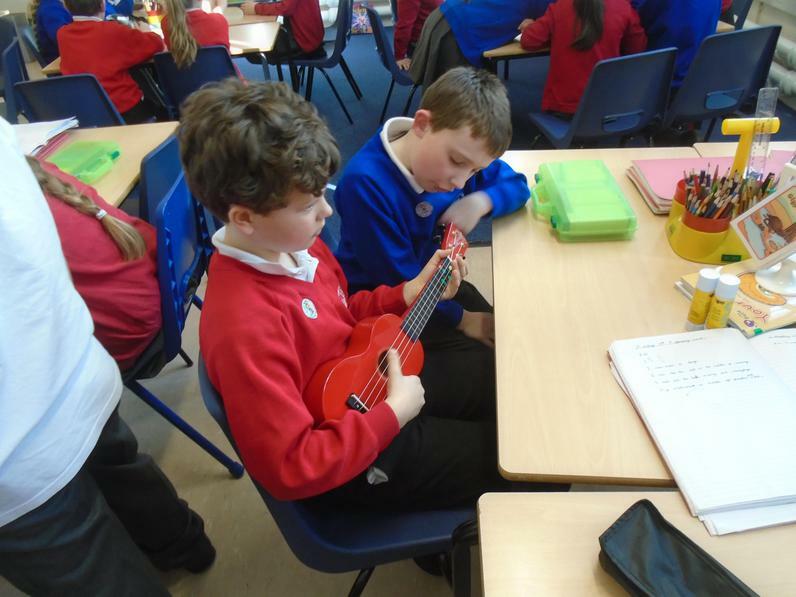 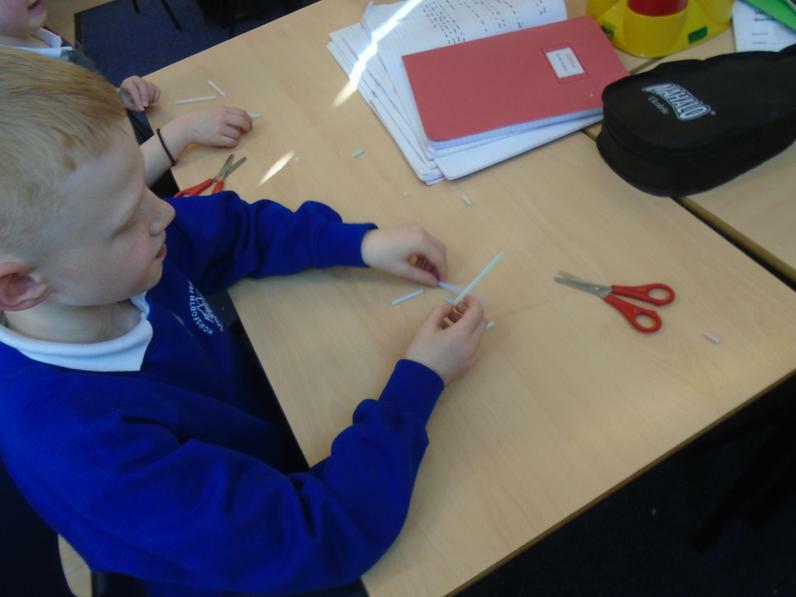 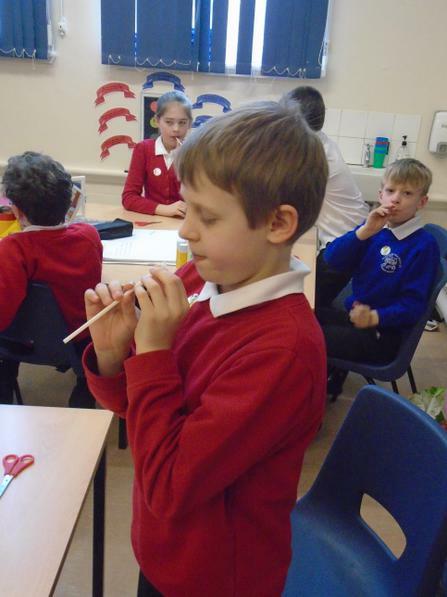 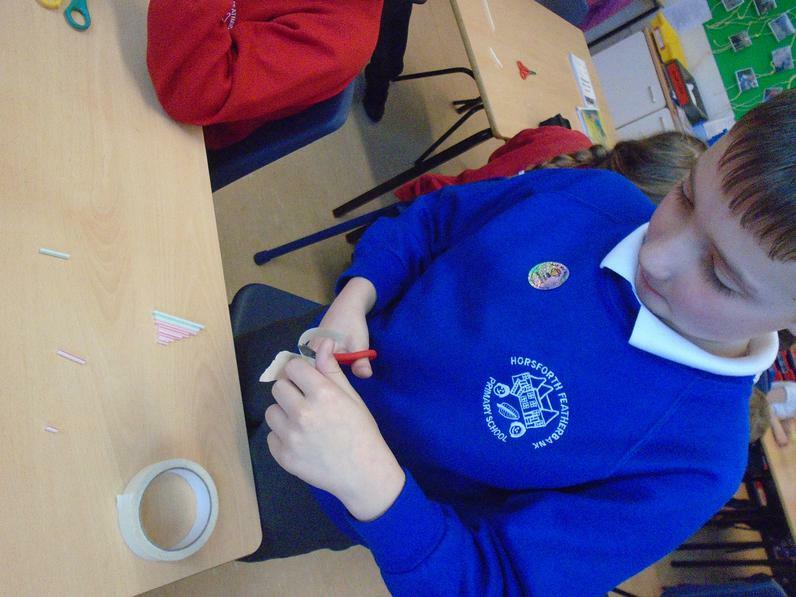 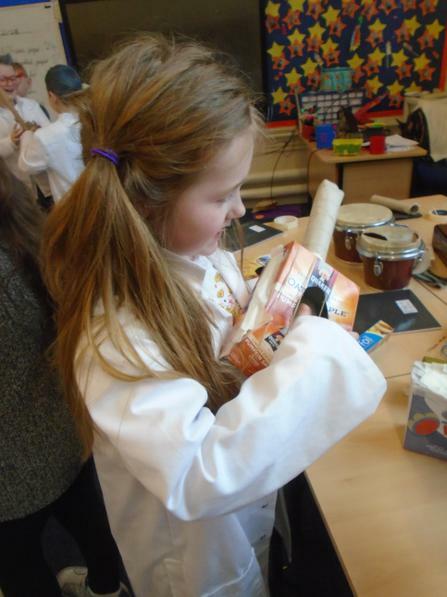 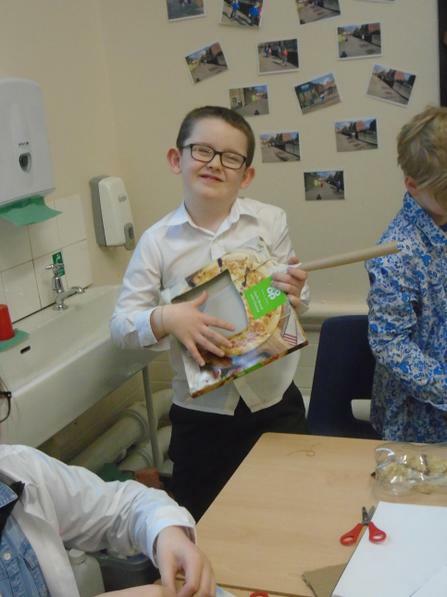 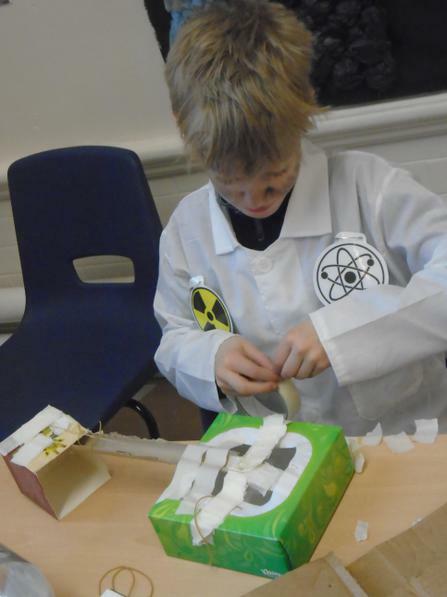 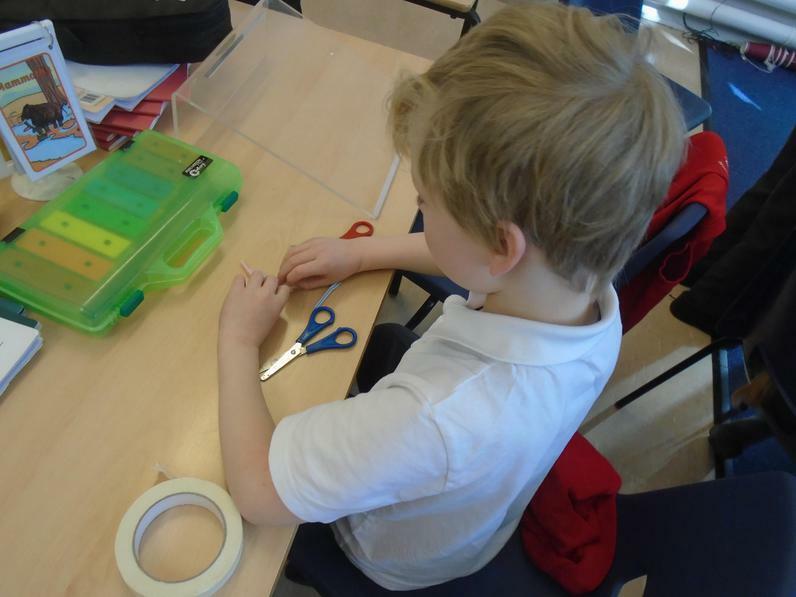 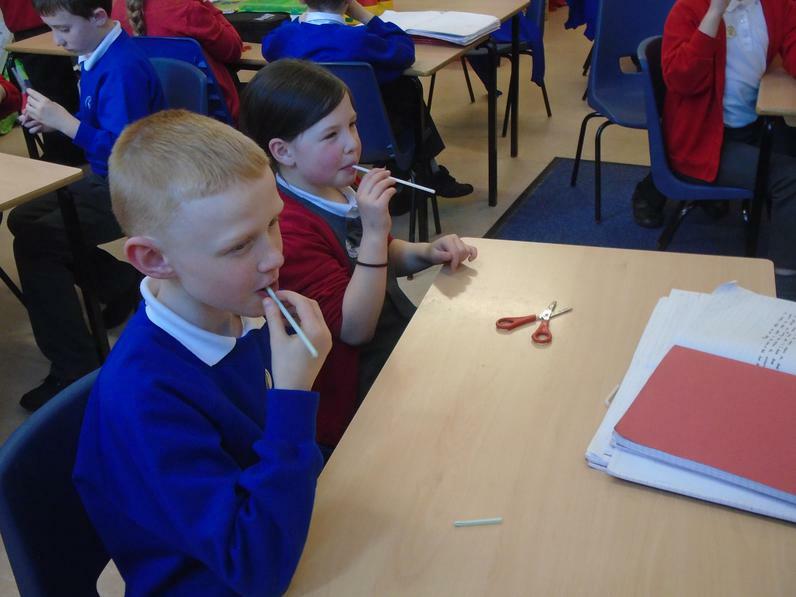 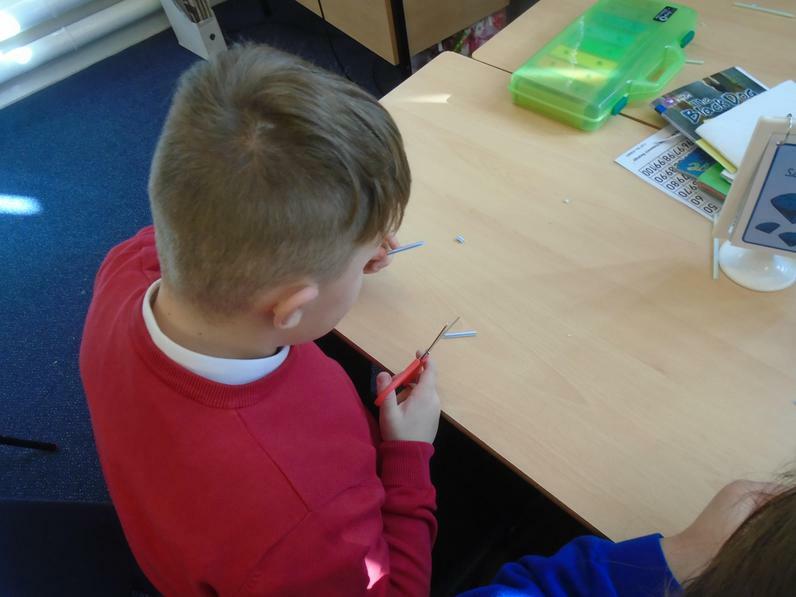 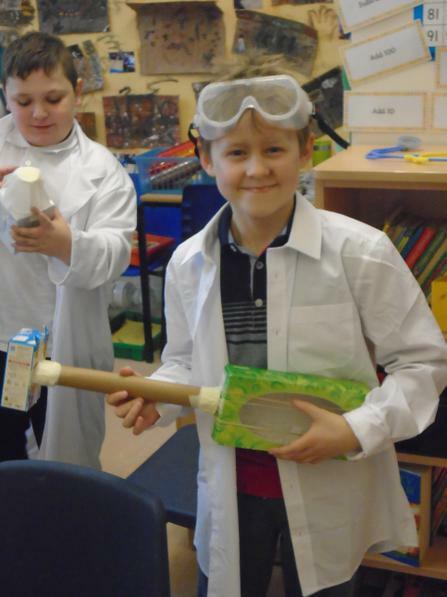 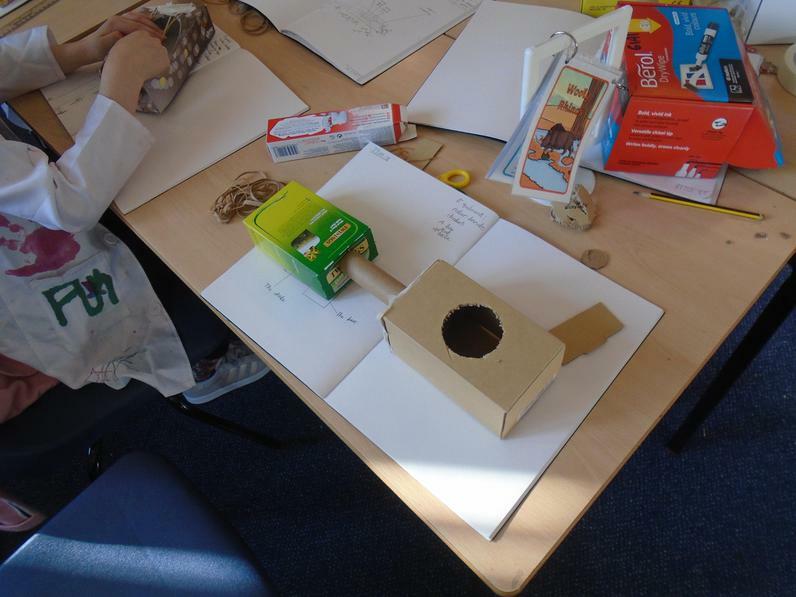 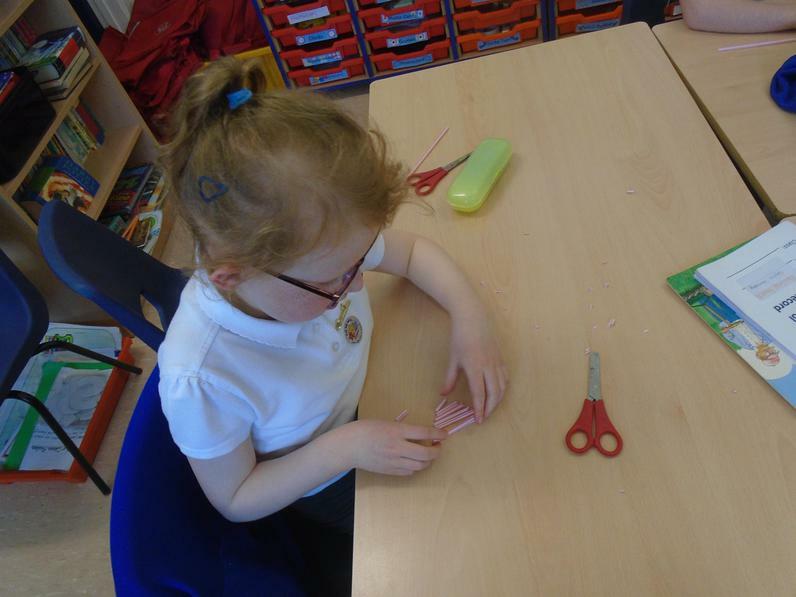 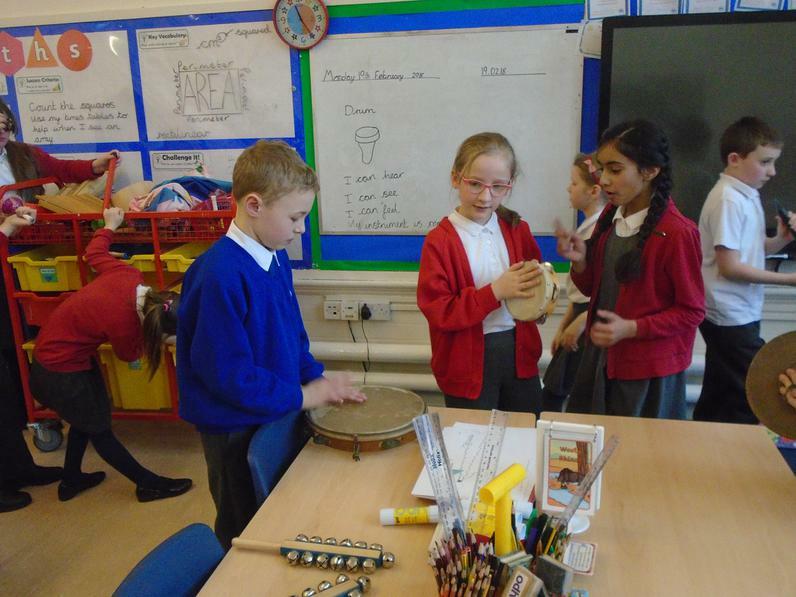 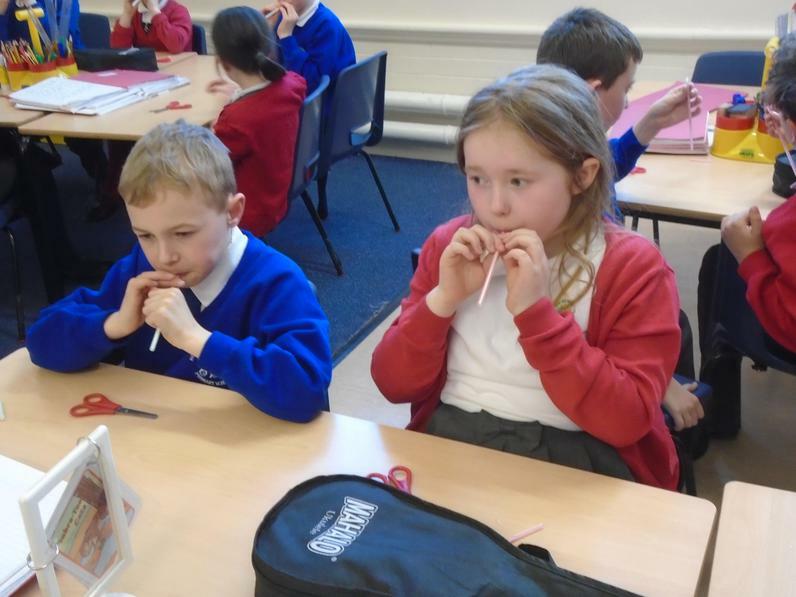 Year 4 have made their own musical instruments in DT this week to tie in with our current Science topic which is Sound. 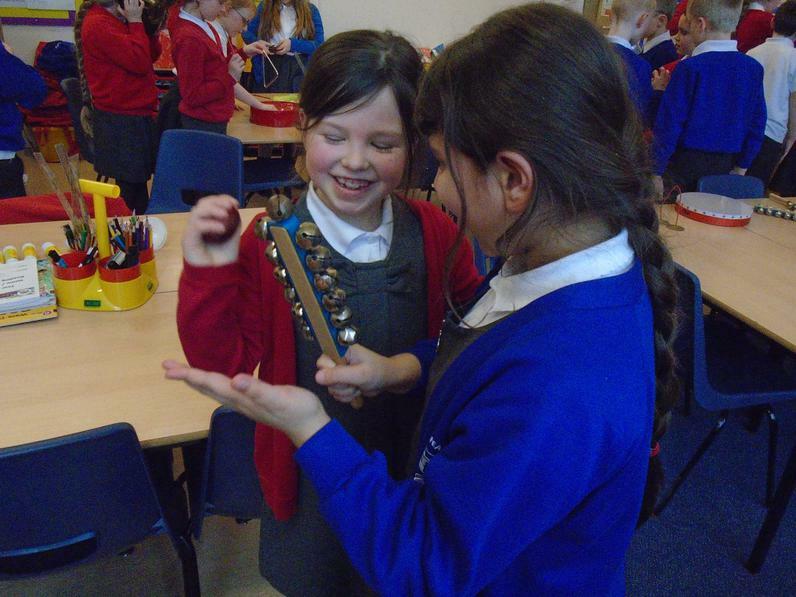 They were set the challenge of making a musical instrument which has a high pitch AND a low pitch which can be changed. 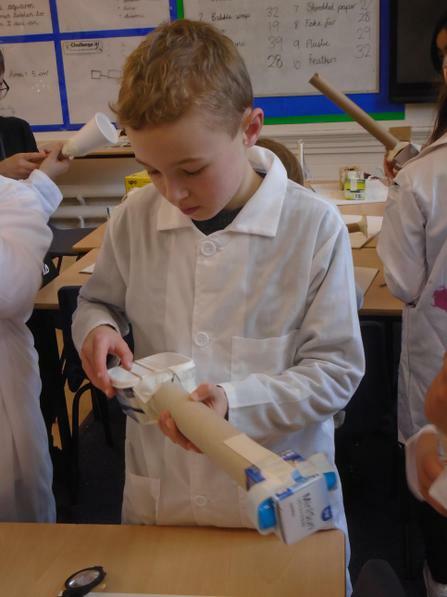 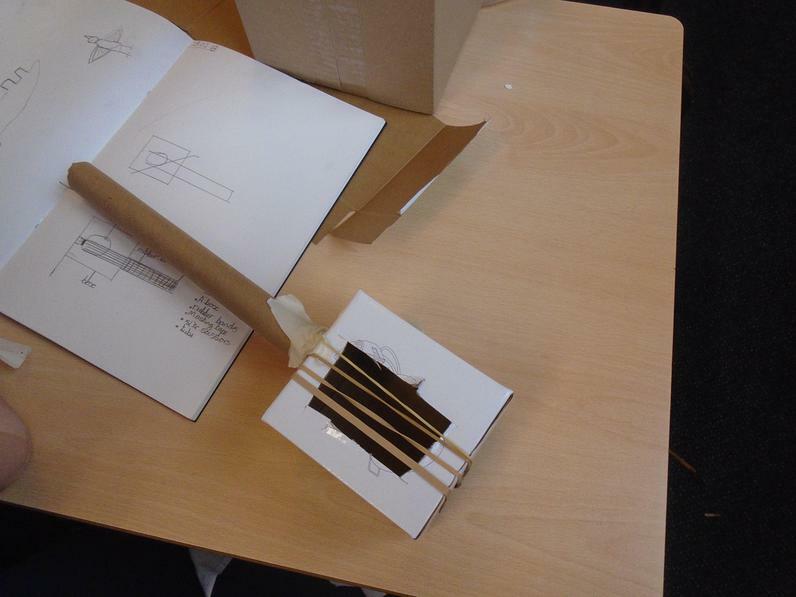 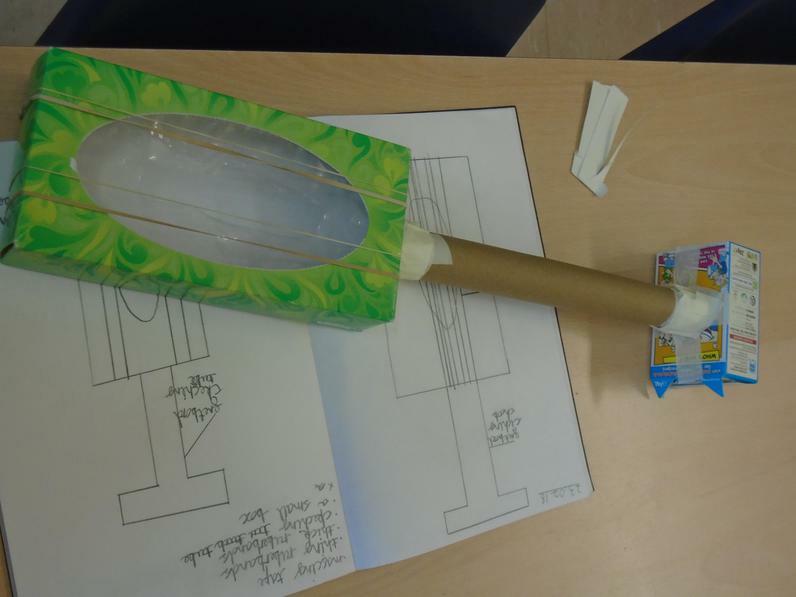 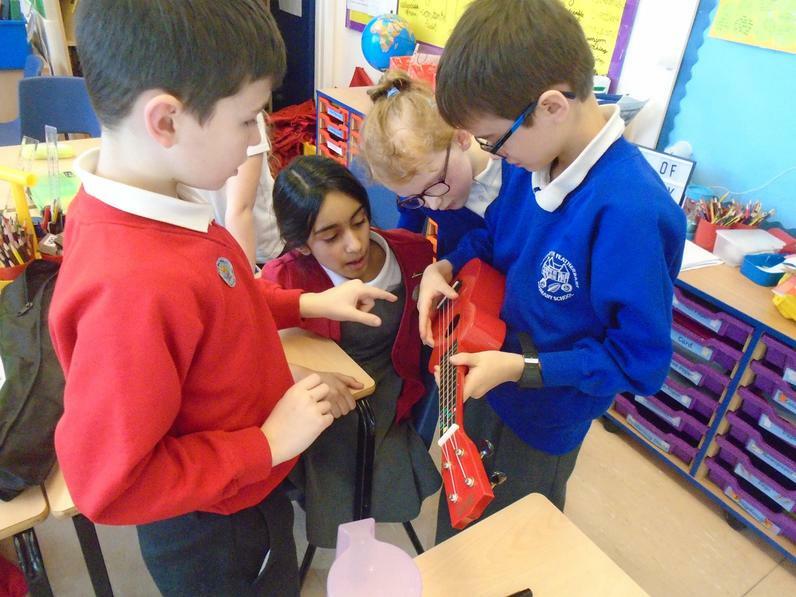 EVERYBODY took on this challenge and successfully produced an instrument with different pitches - WELL DONE Year 4!! 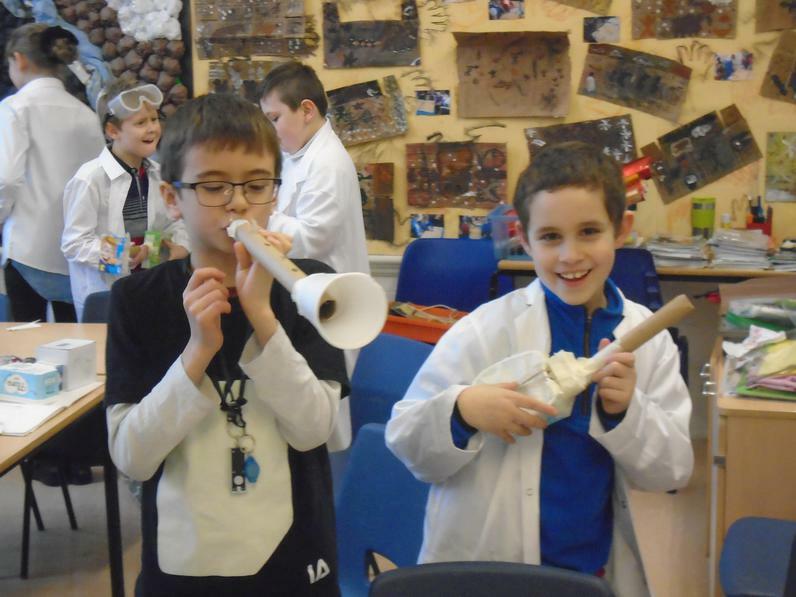 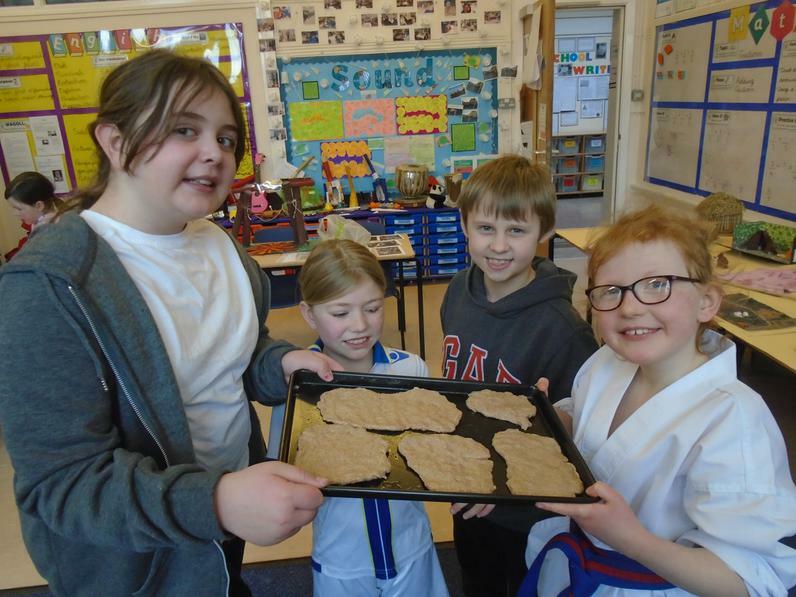 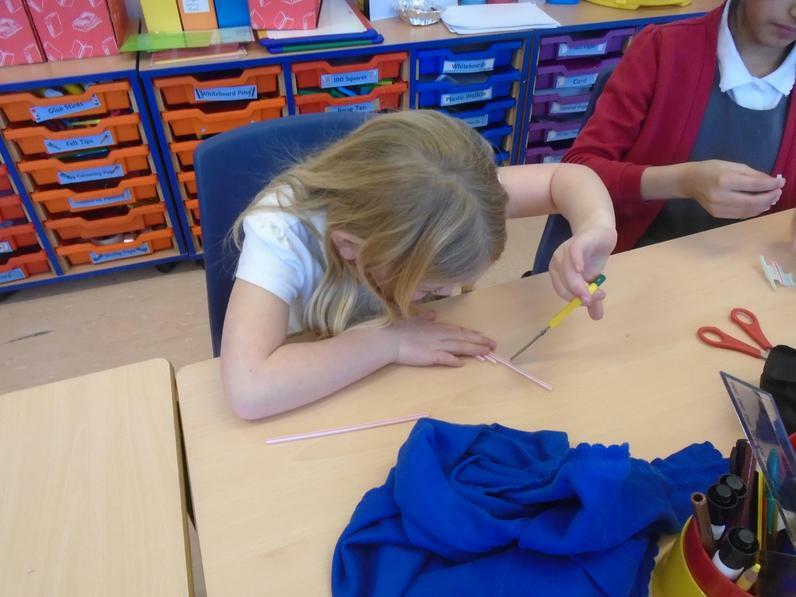 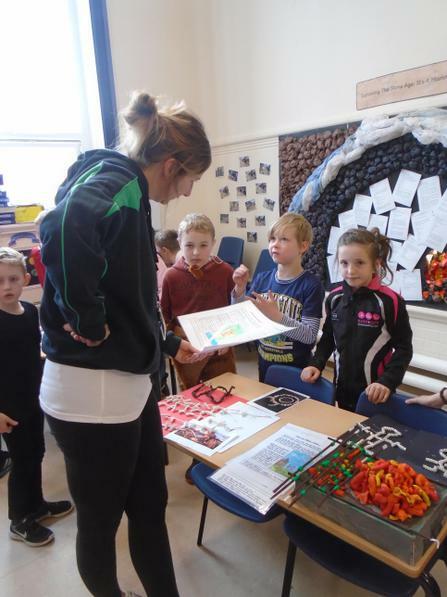 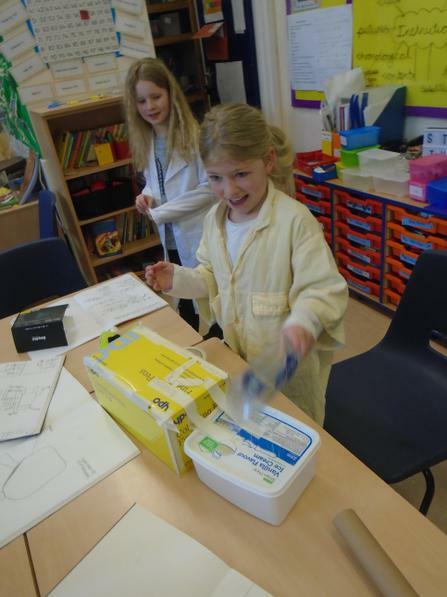 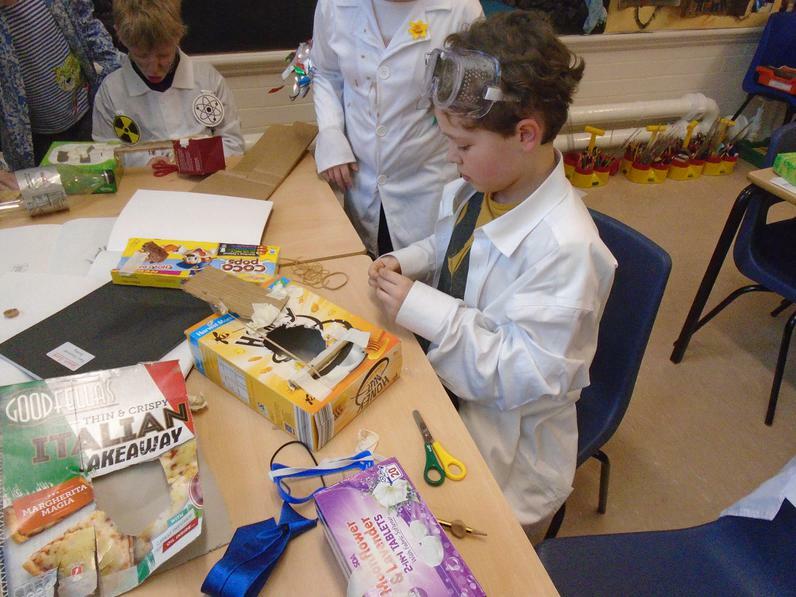 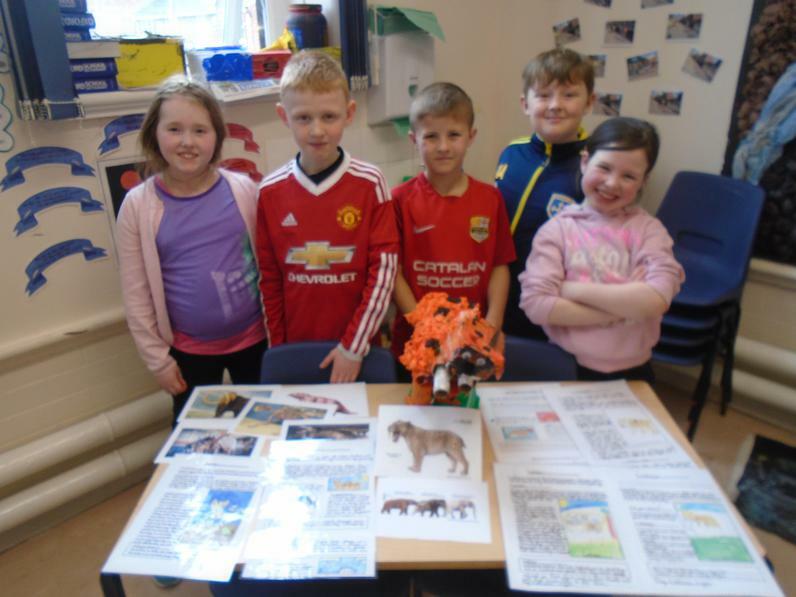 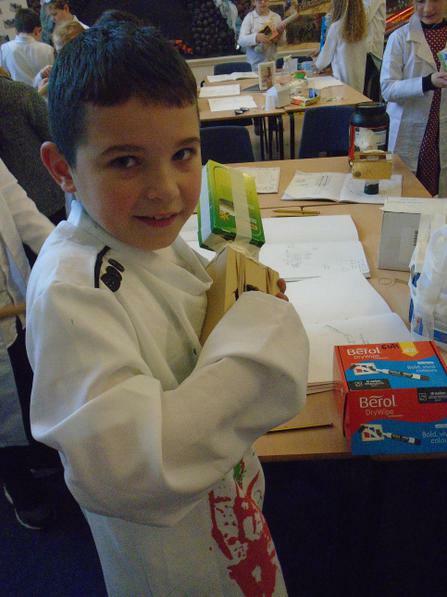 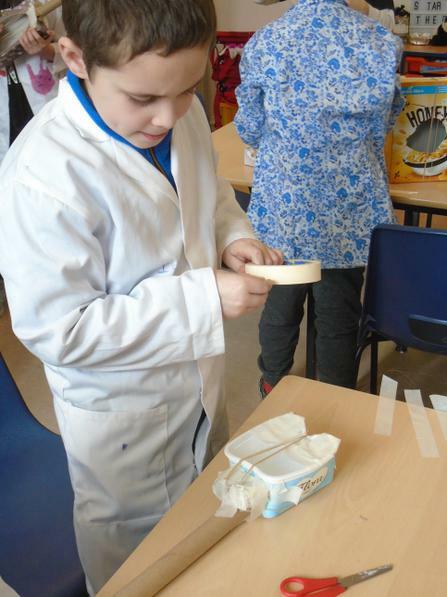 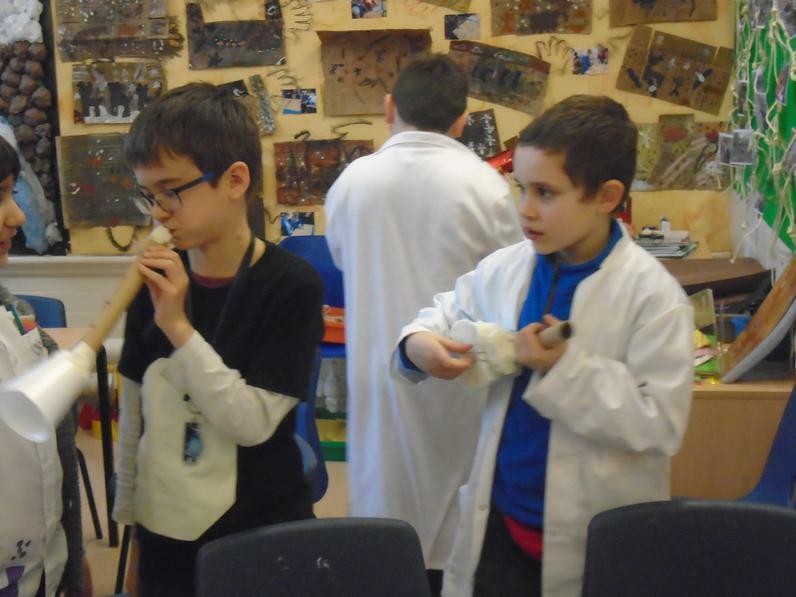 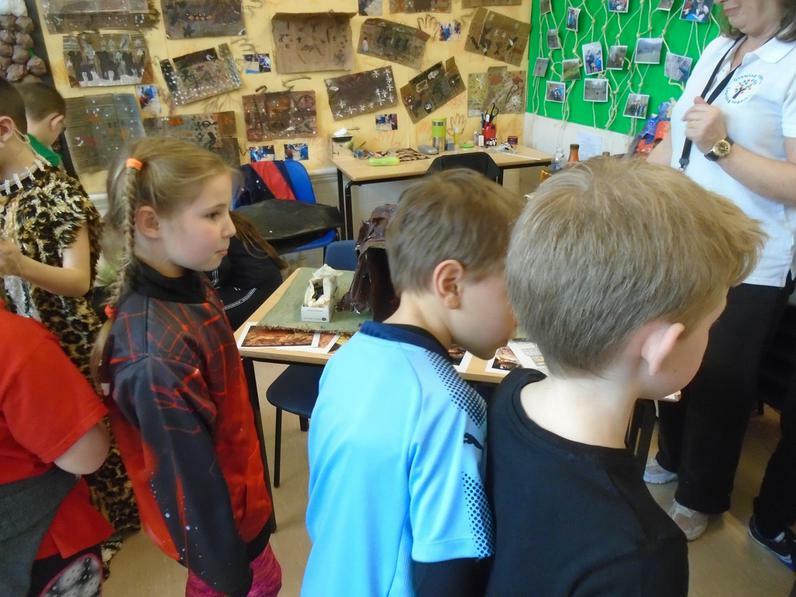 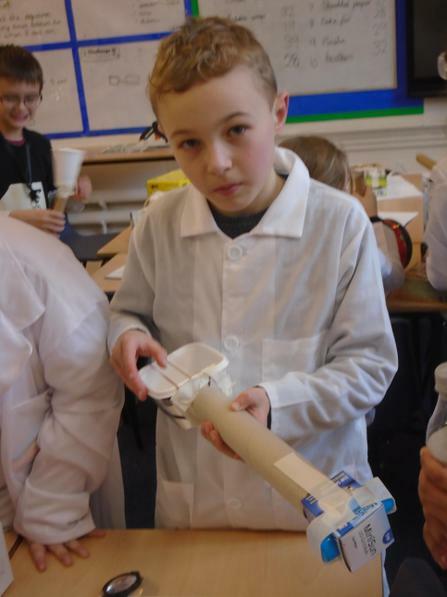 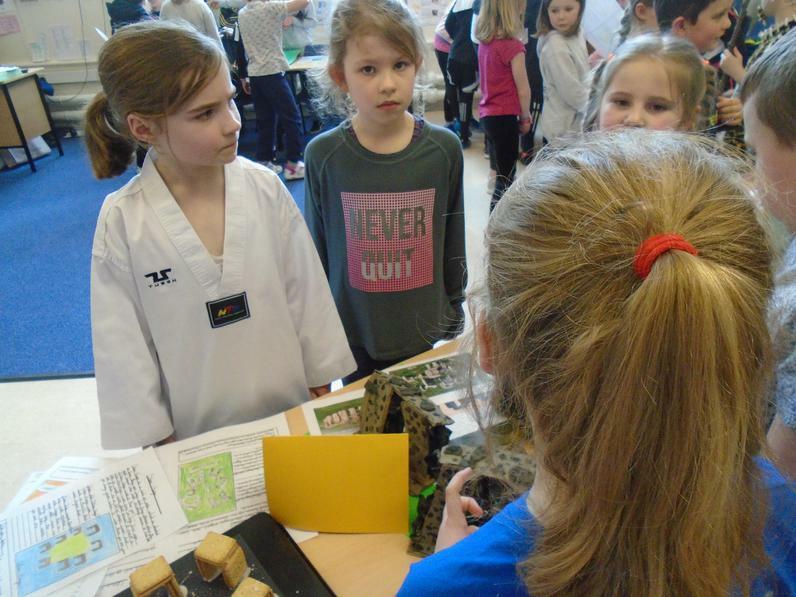 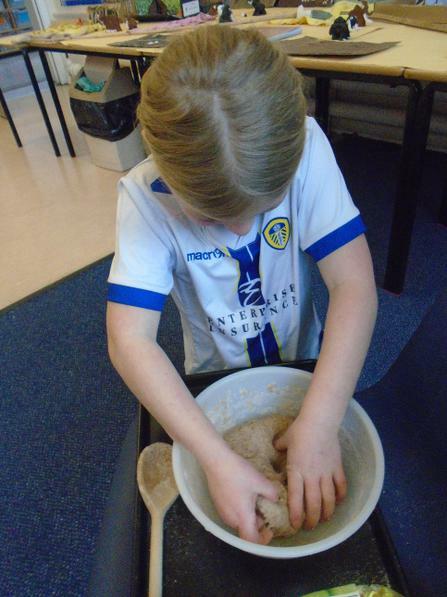 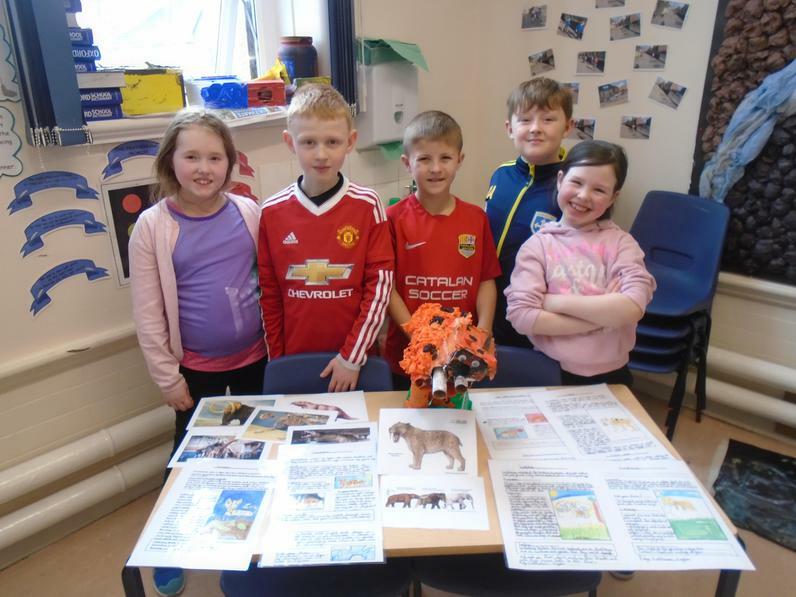 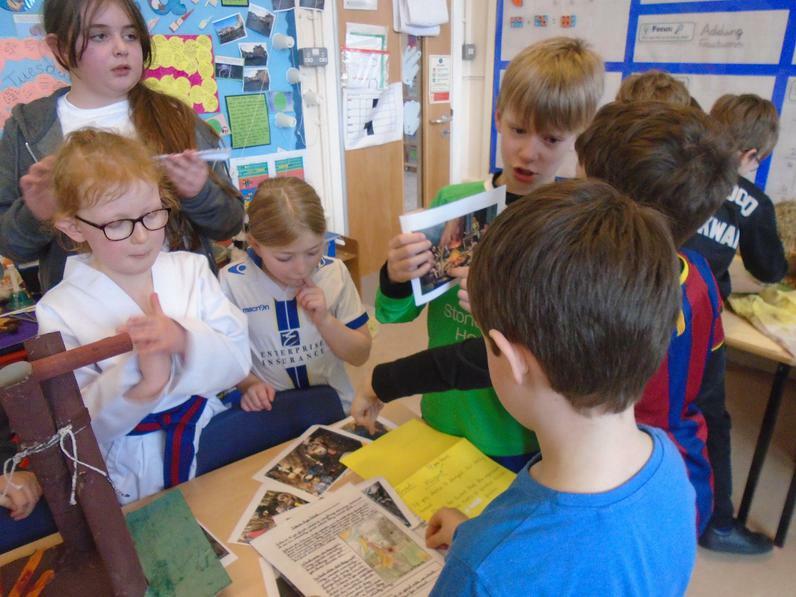 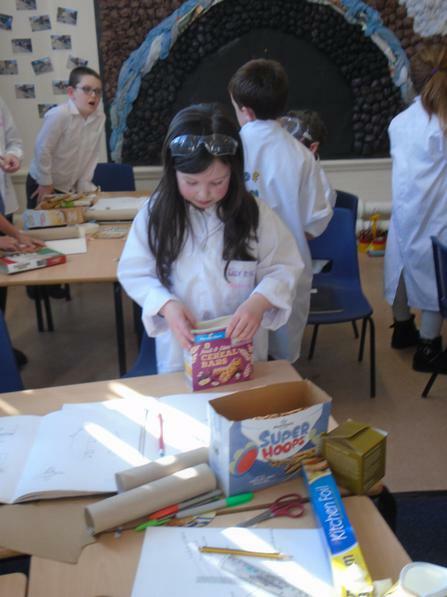 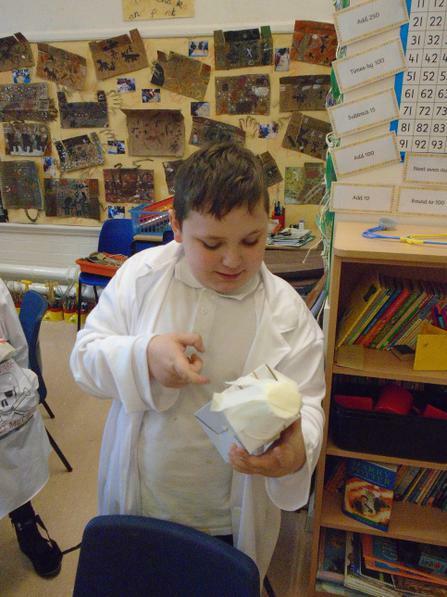 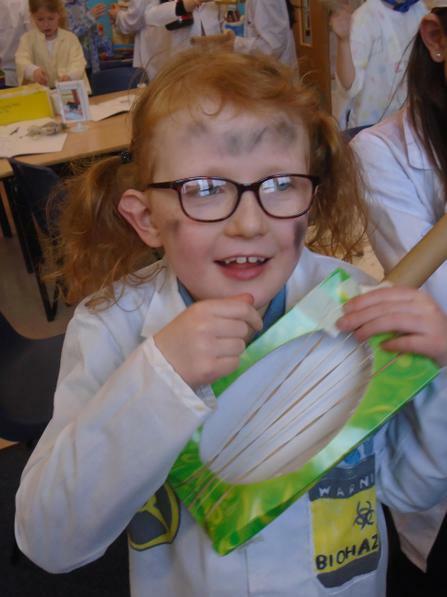 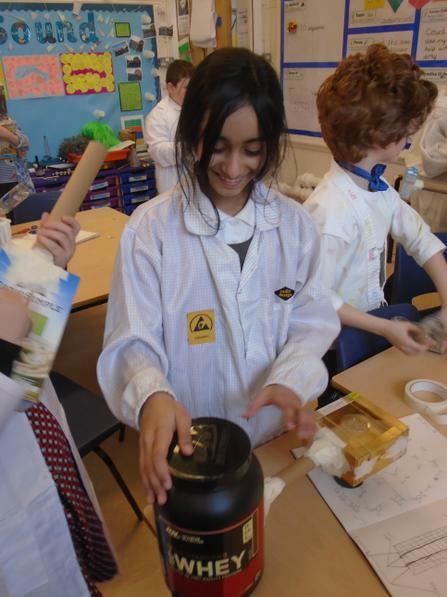 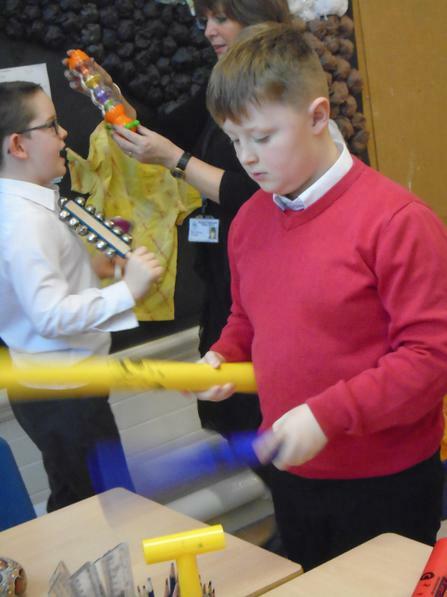 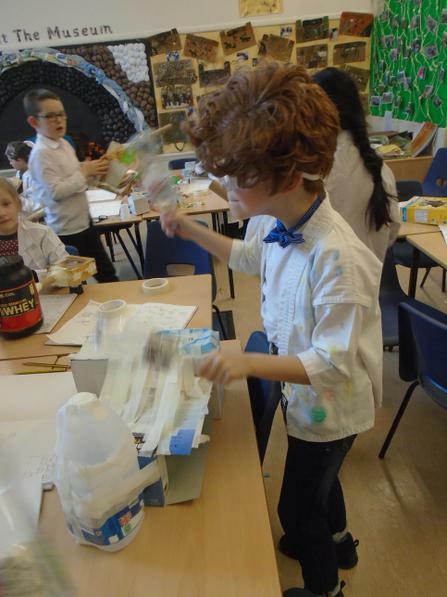 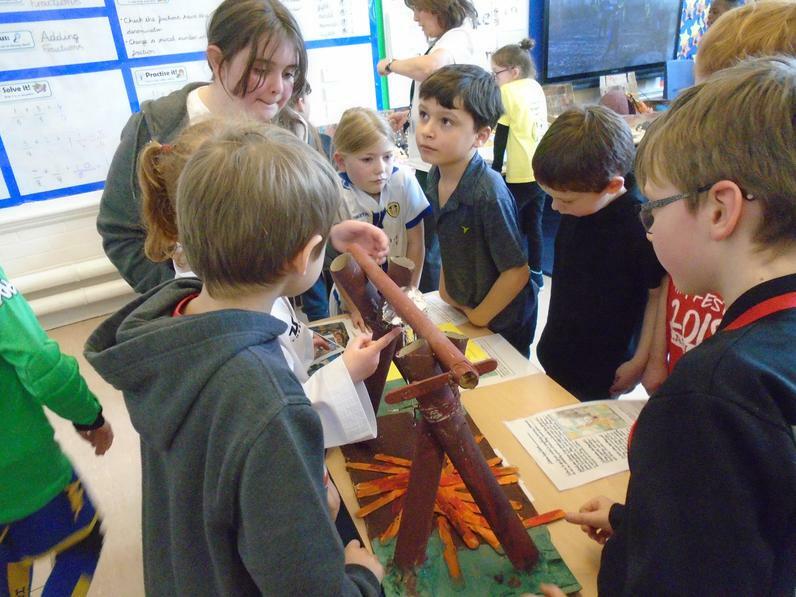 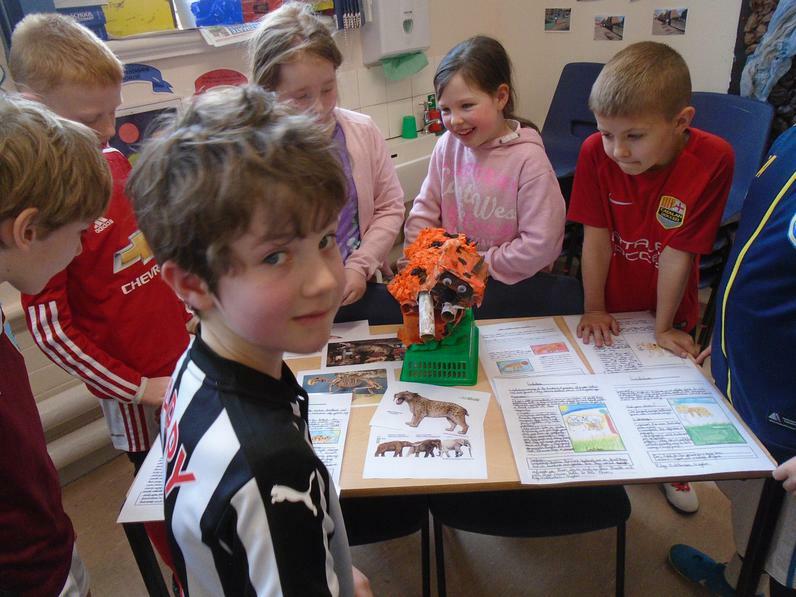 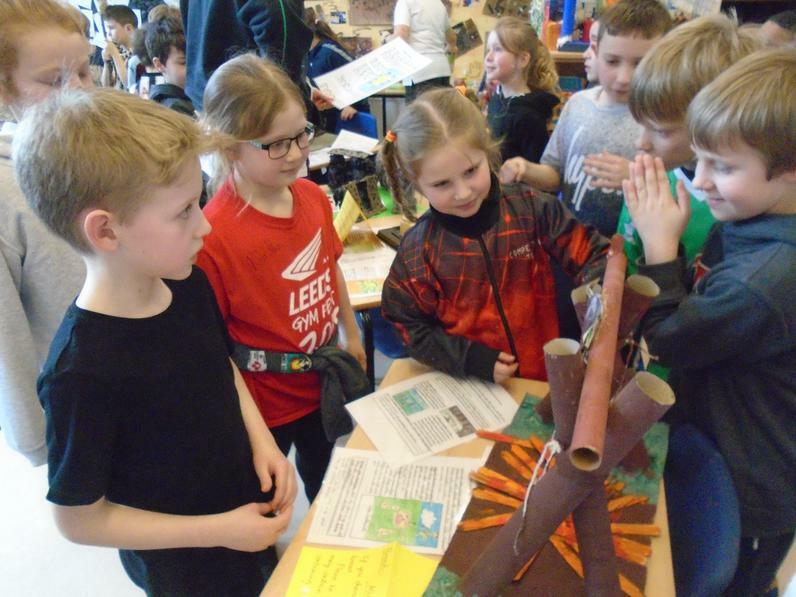 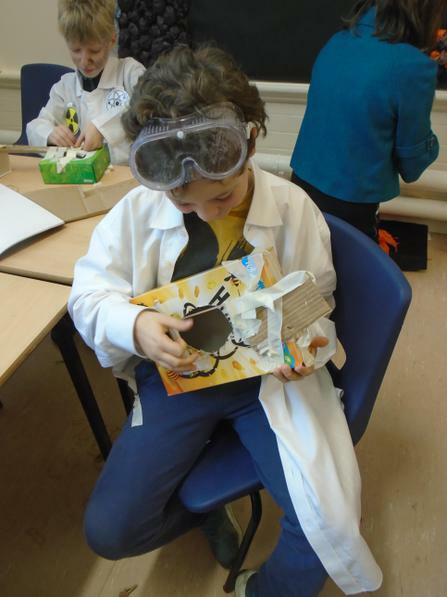 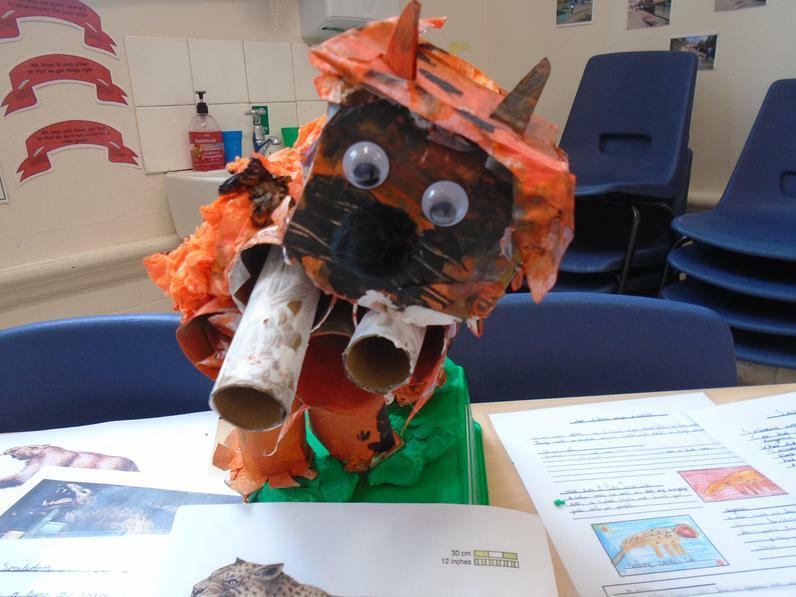 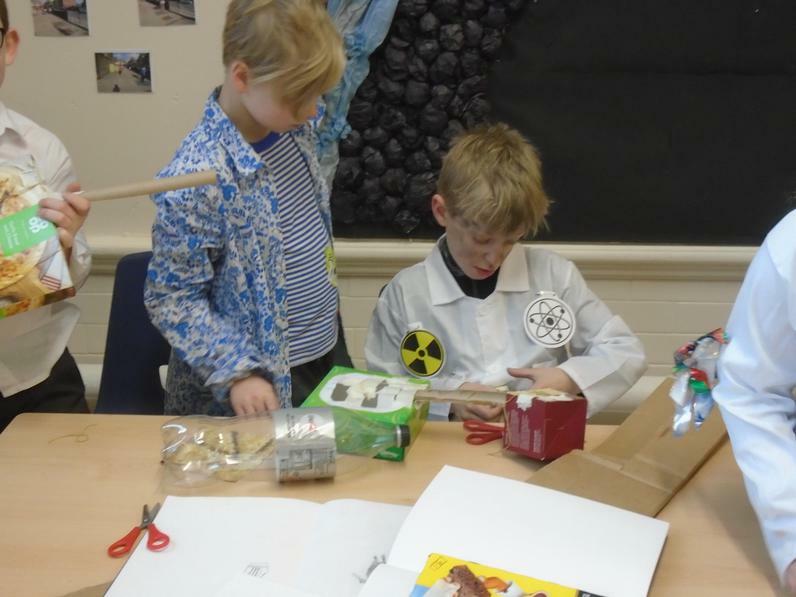 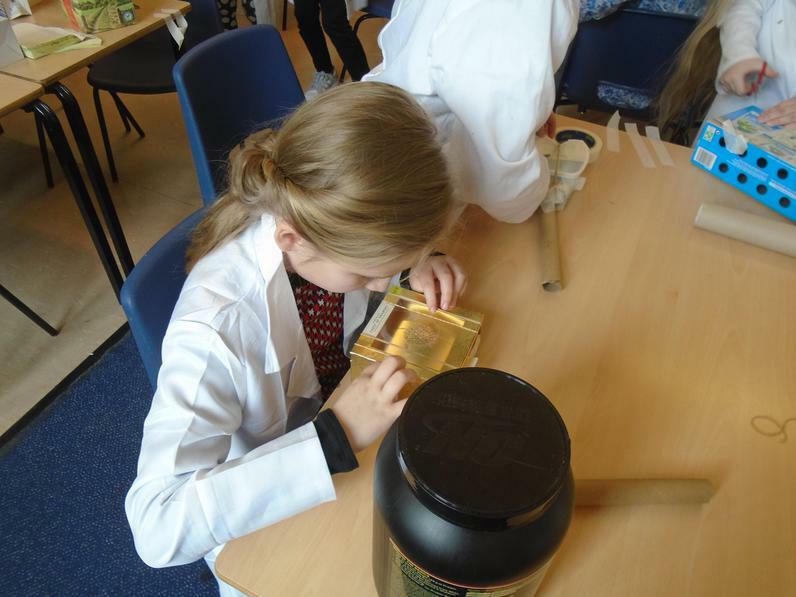 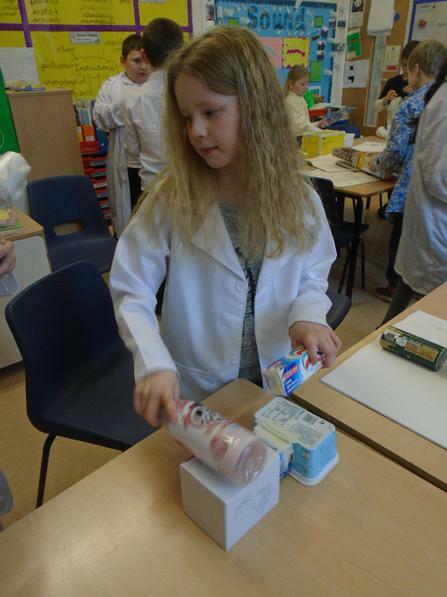 Science Week - What's That Noise? 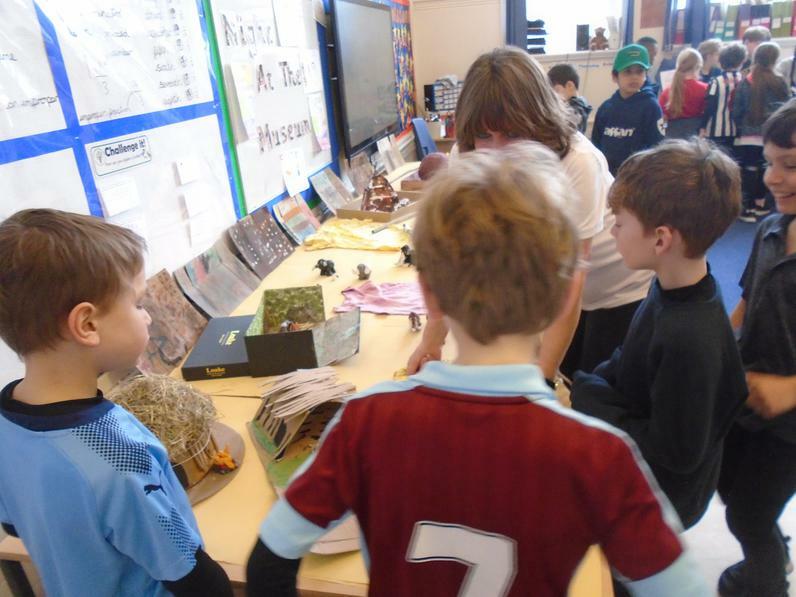 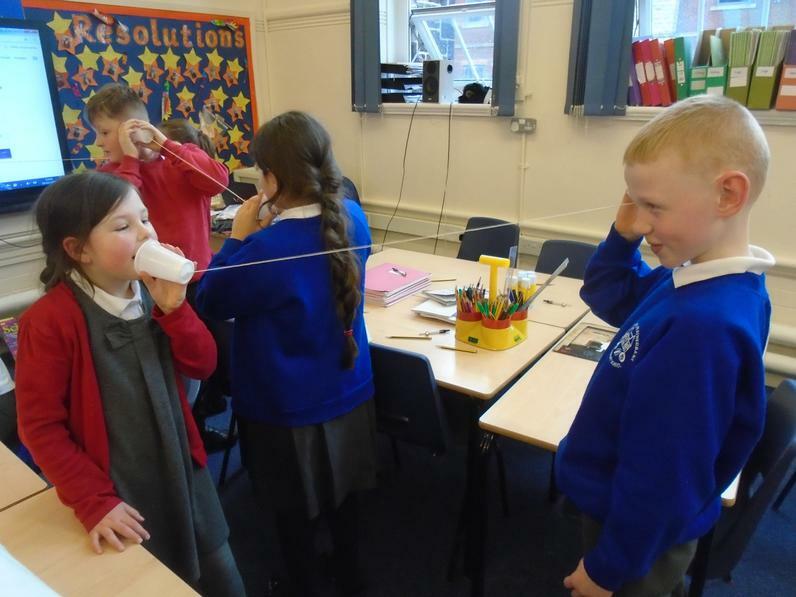 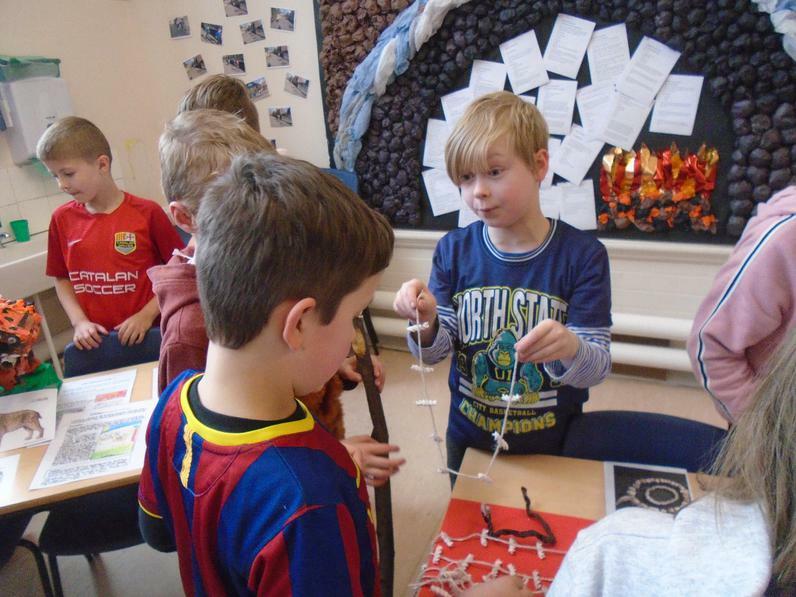 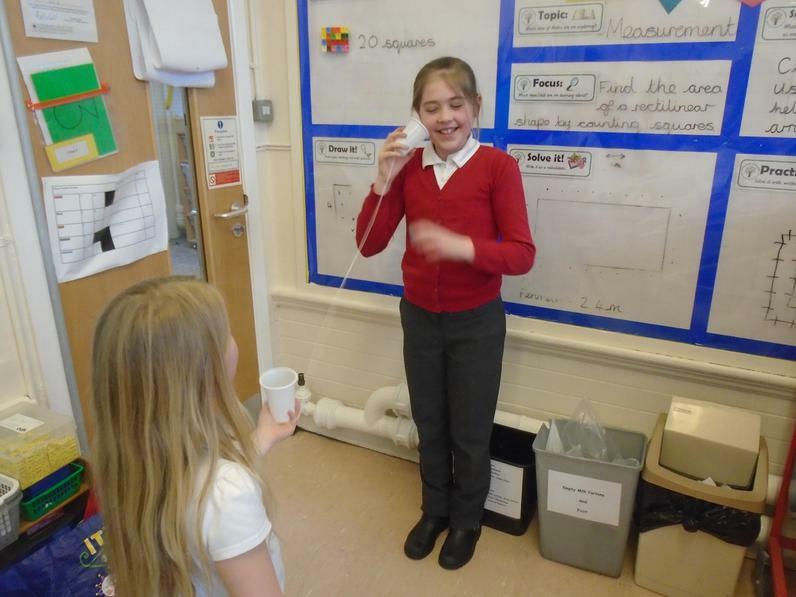 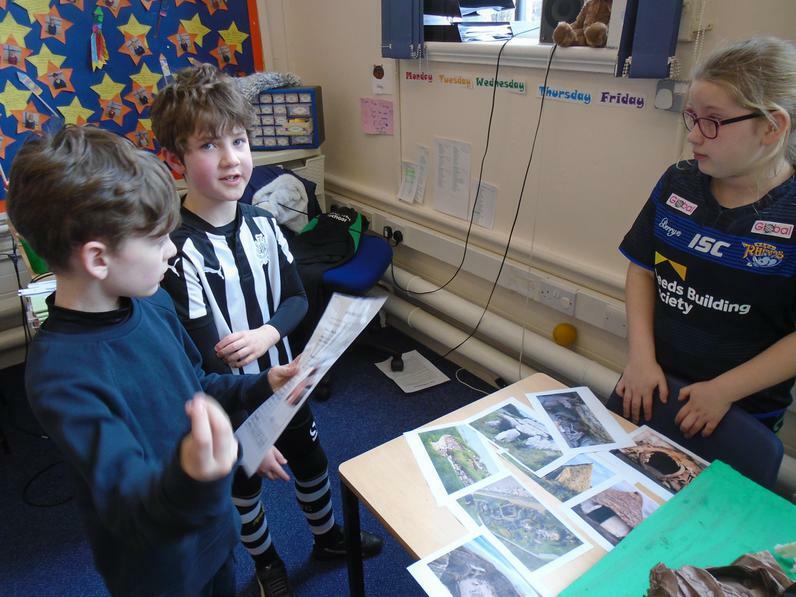 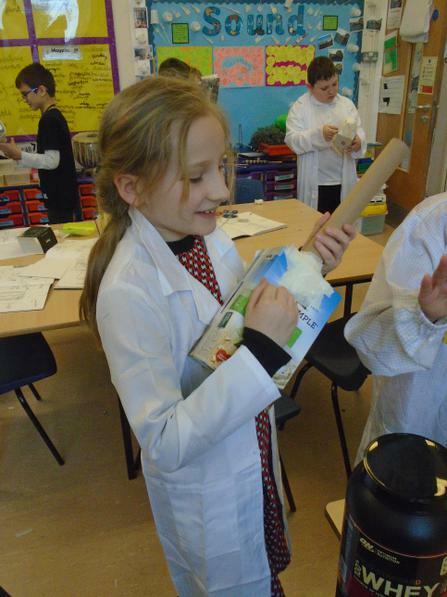 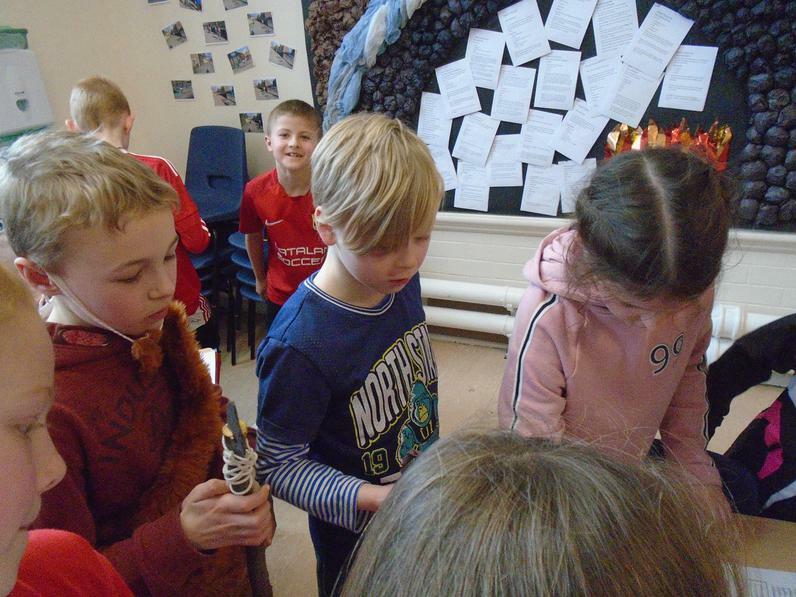 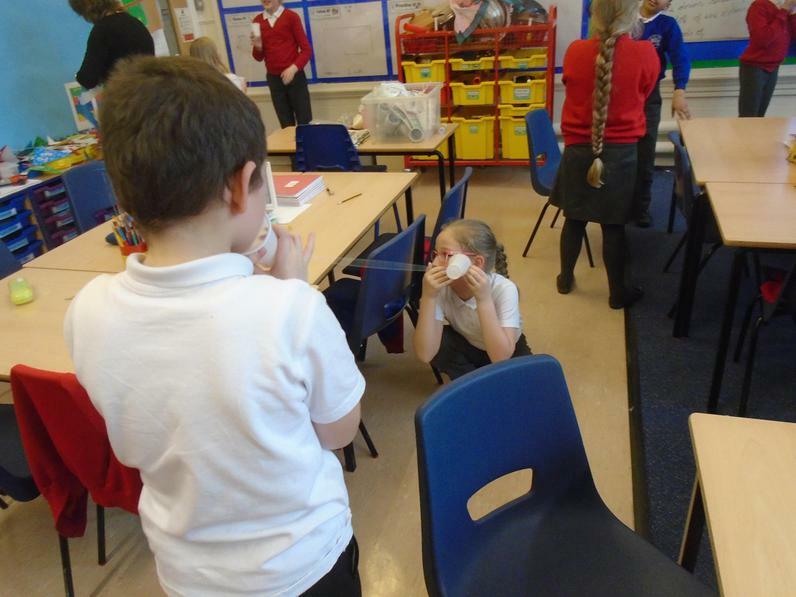 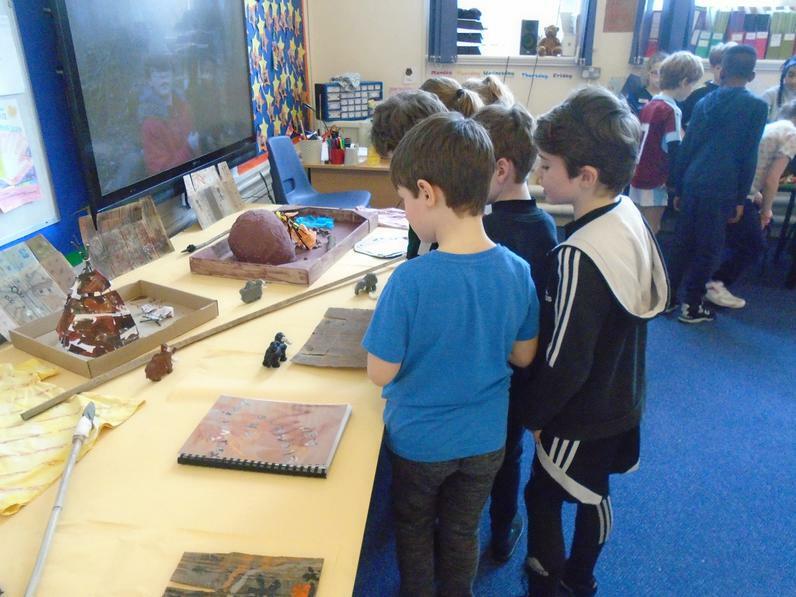 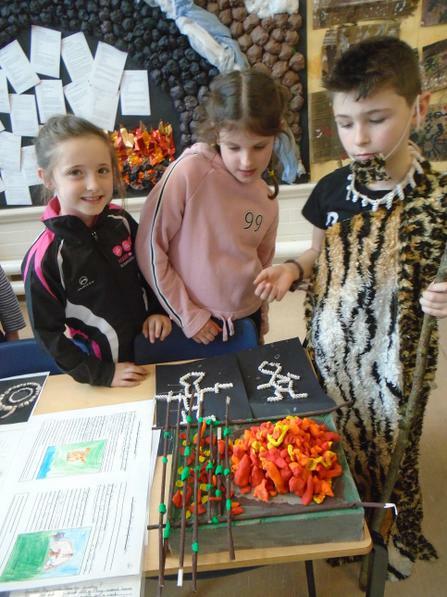 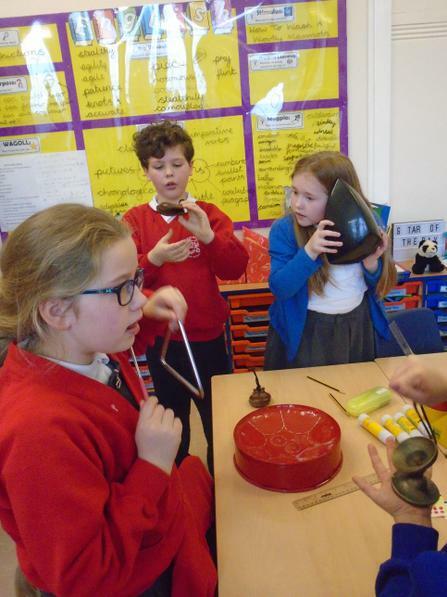 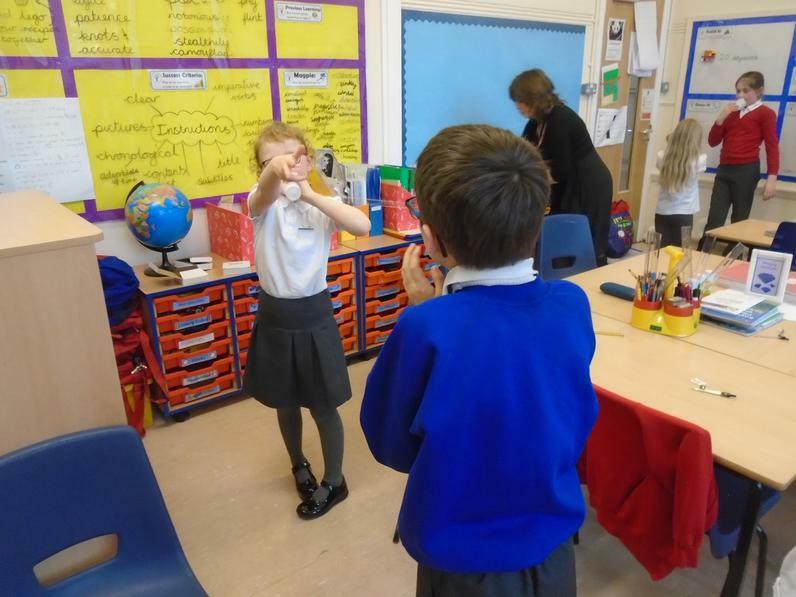 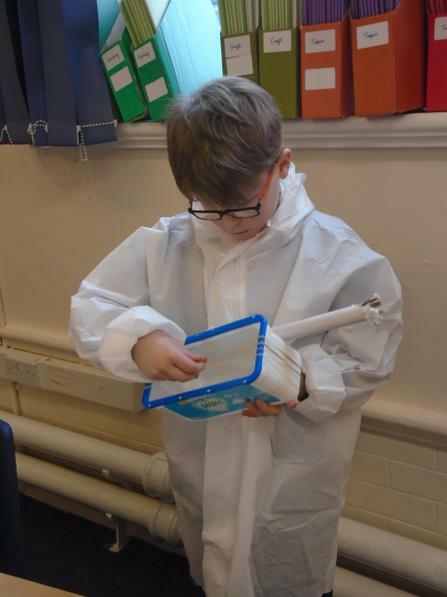 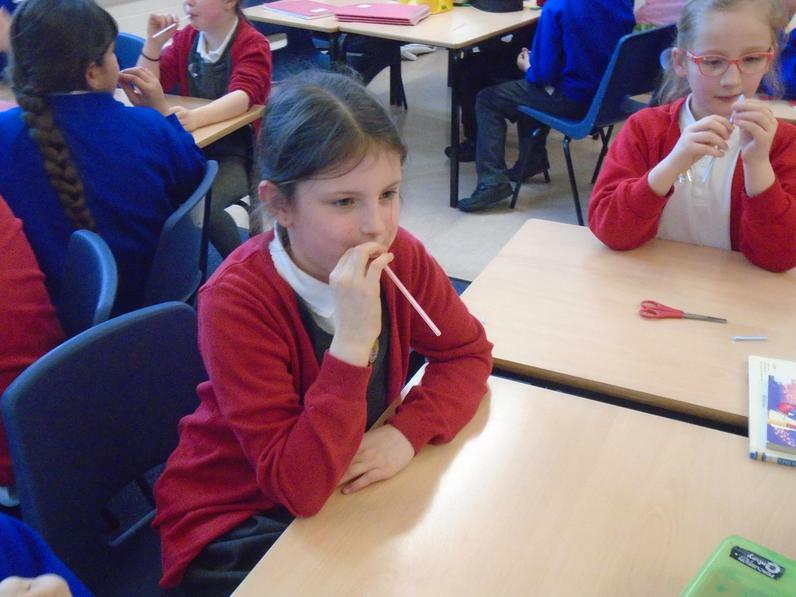 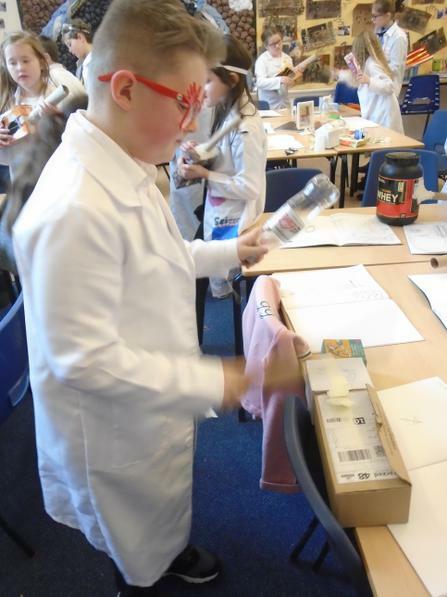 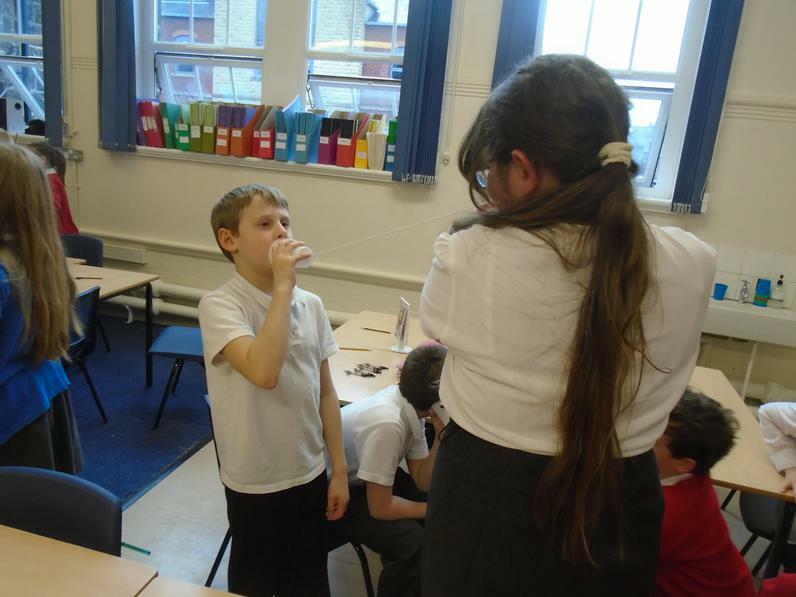 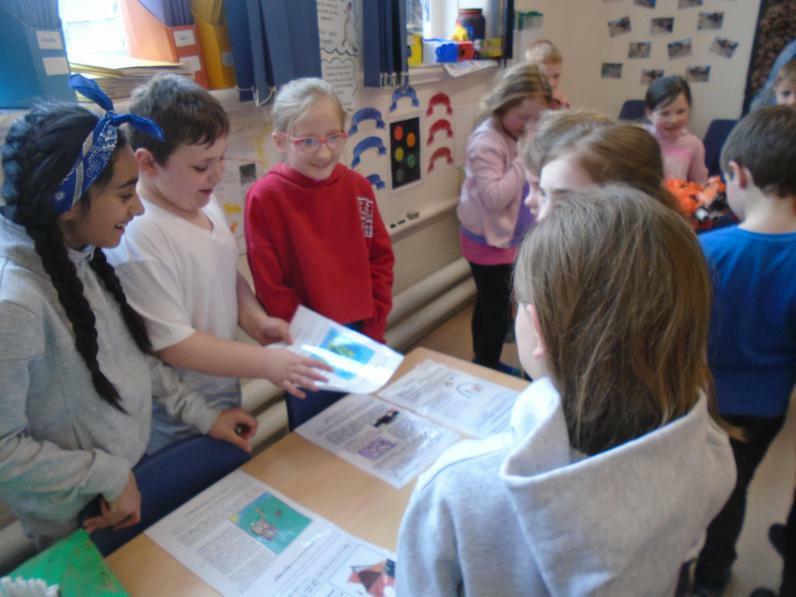 Year 4 have had such an exciting time this week exploring all about sound during our Science week. 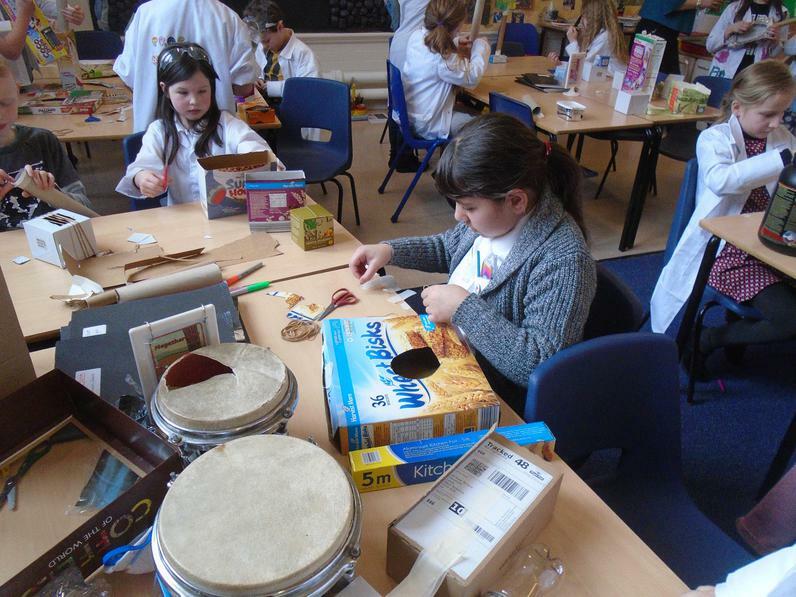 We have: explored different instruments to find out how they make sounds, watched the vibrations on a drum using rice, learned how to measure the volume of a sound in decibels, learned about the particles in solids, liquids and gases and what medium sound travels through best, made our own string telephones, performed two different investigations, explored which features of an instrument allow us to change the pitch and made our own pan pipes using straws. 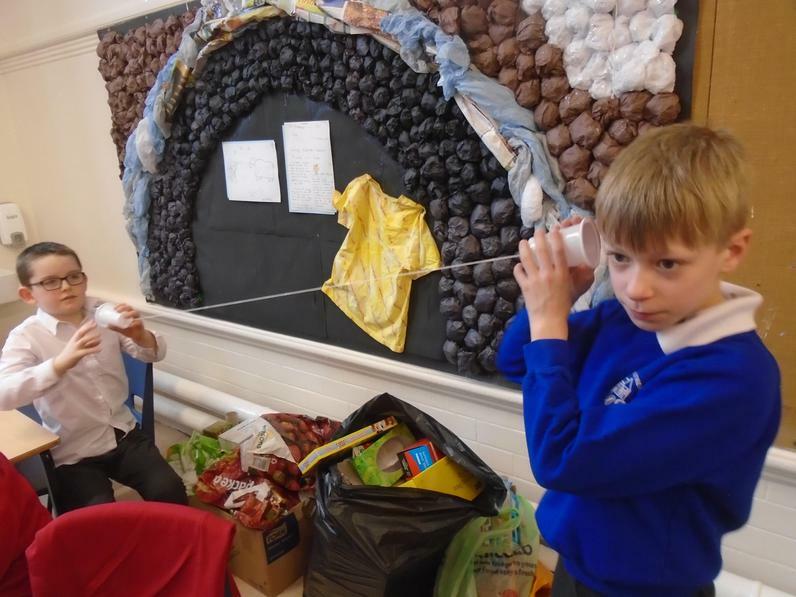 This is our Sound working wall. 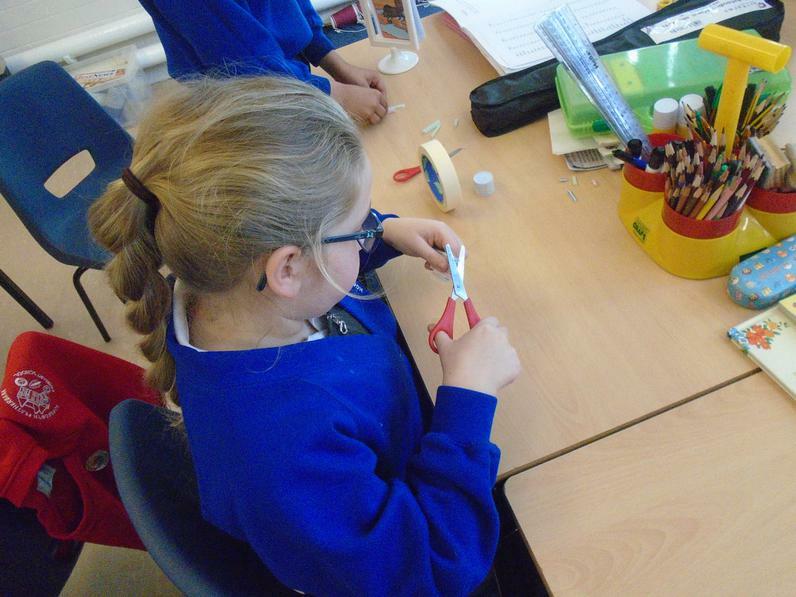 We have added new things we have learned daily. 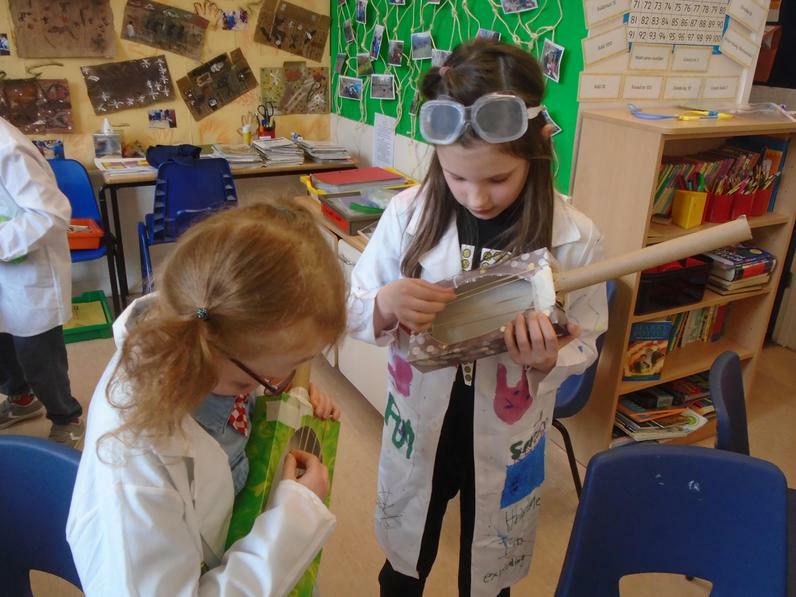 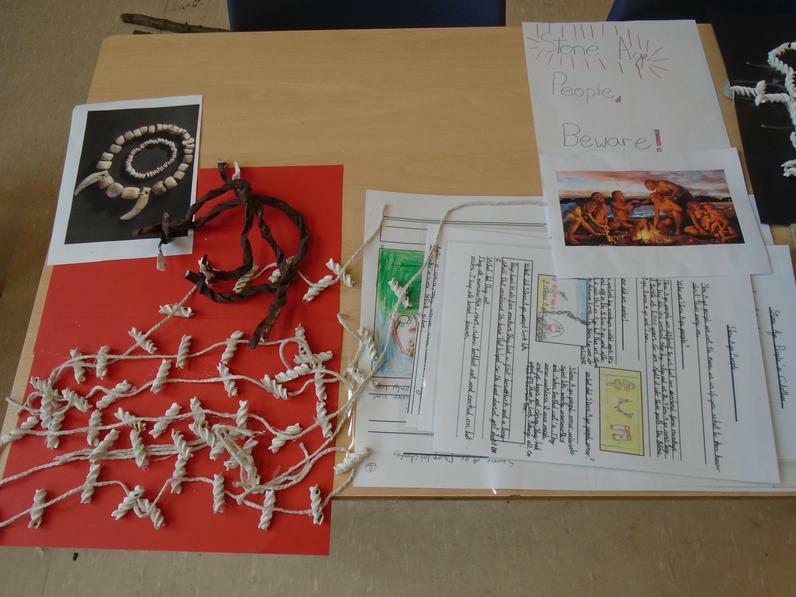 Instruments we have made and ones we've explored. 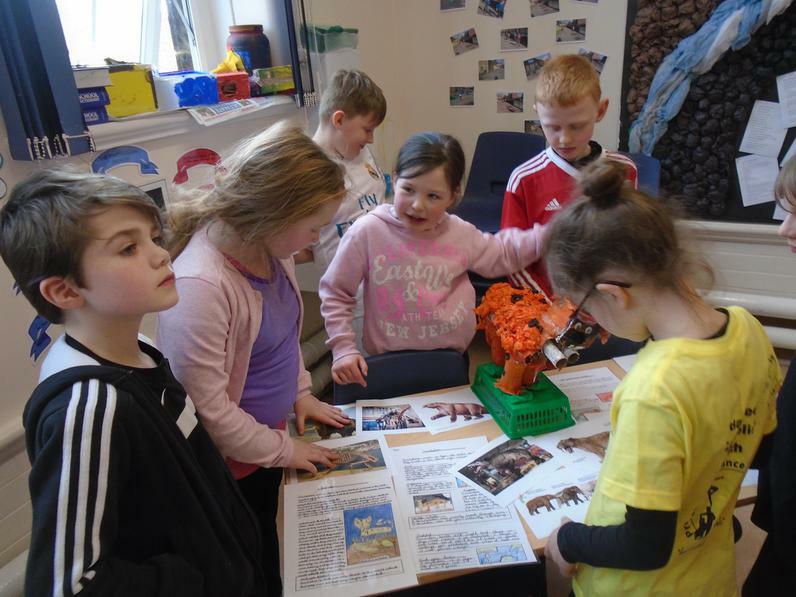 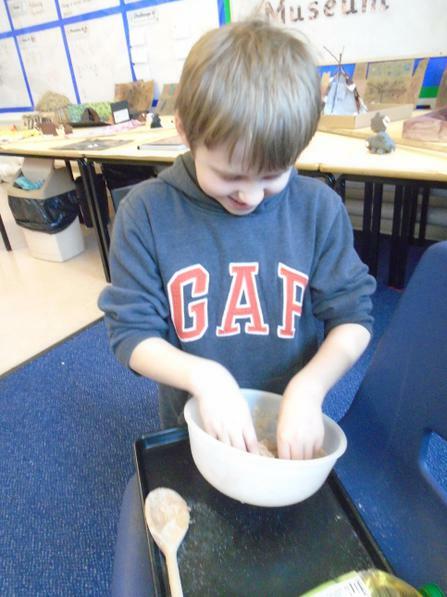 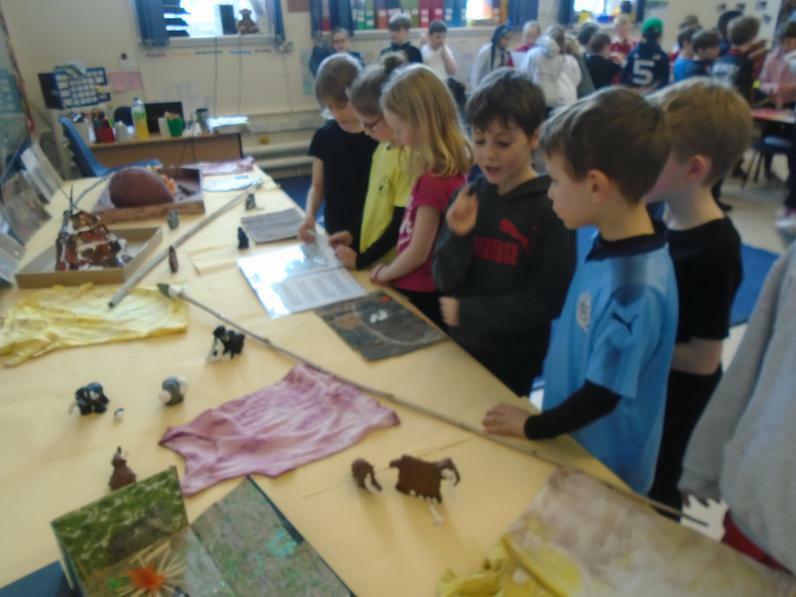 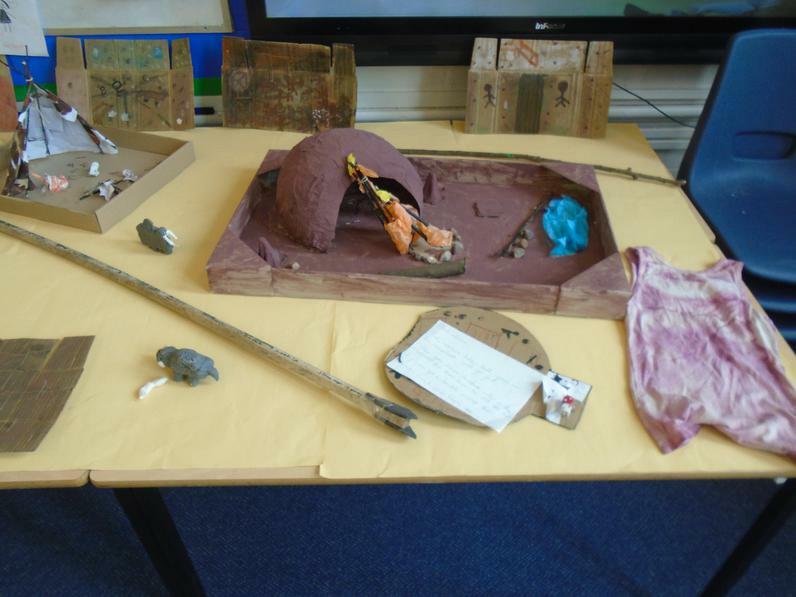 Our 'Surviving The Stone Age' instructions. 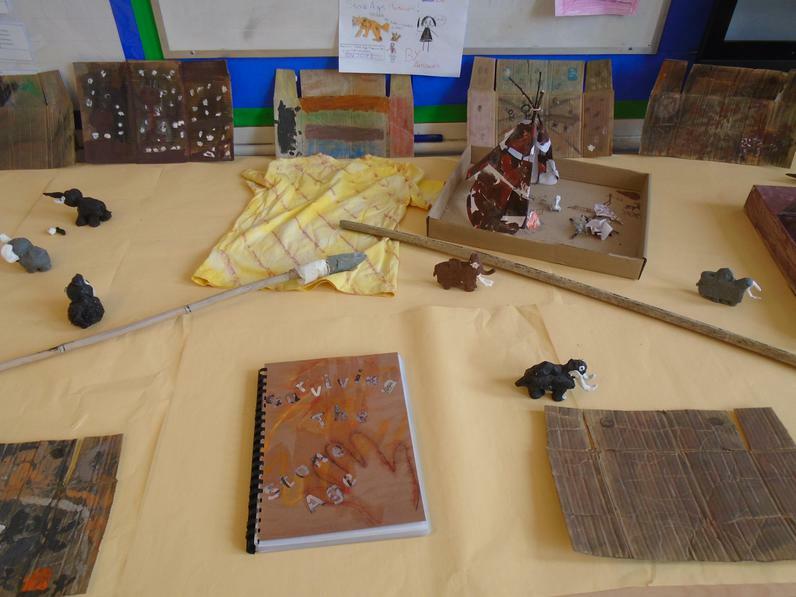 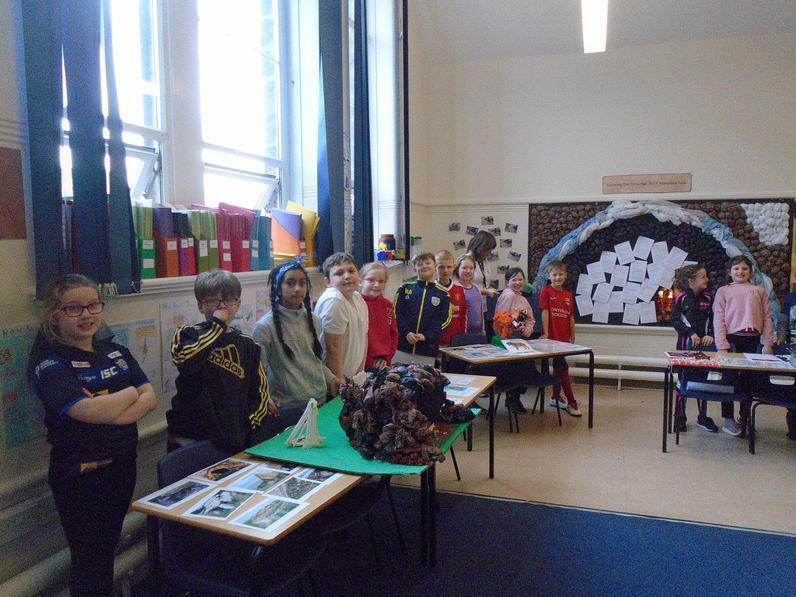 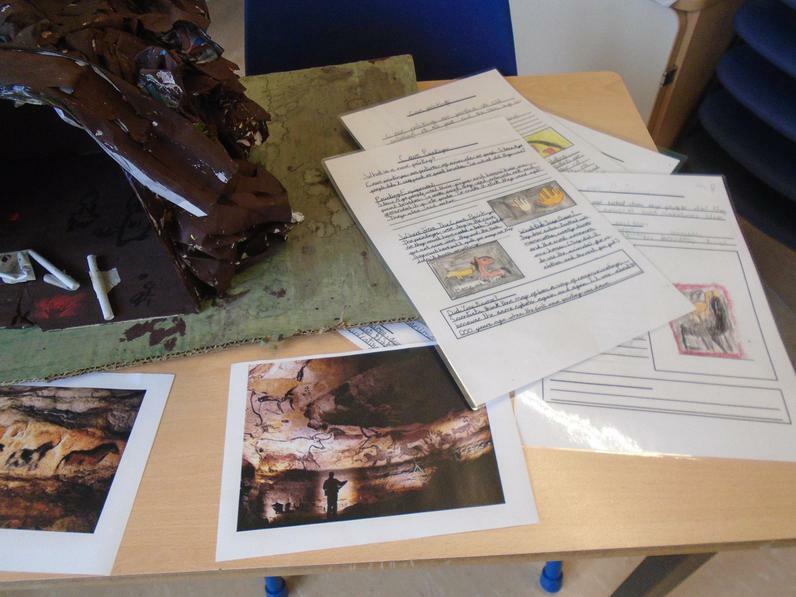 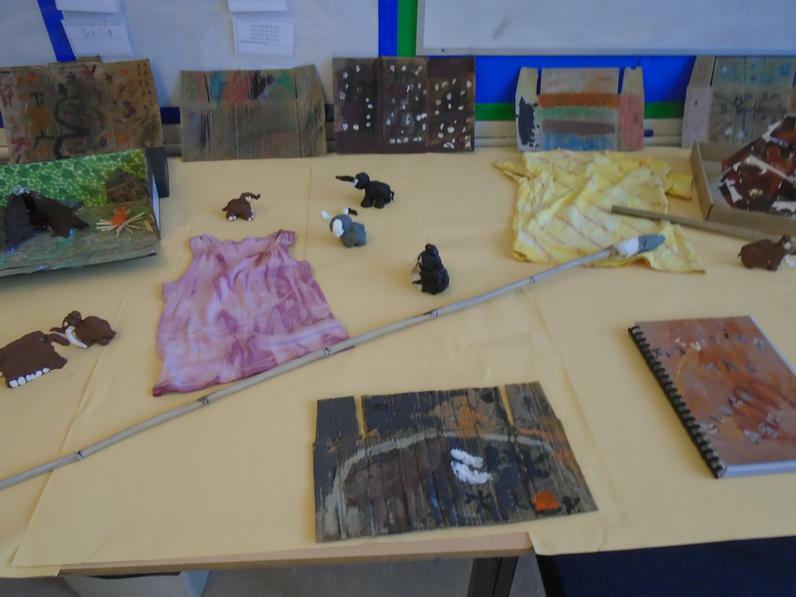 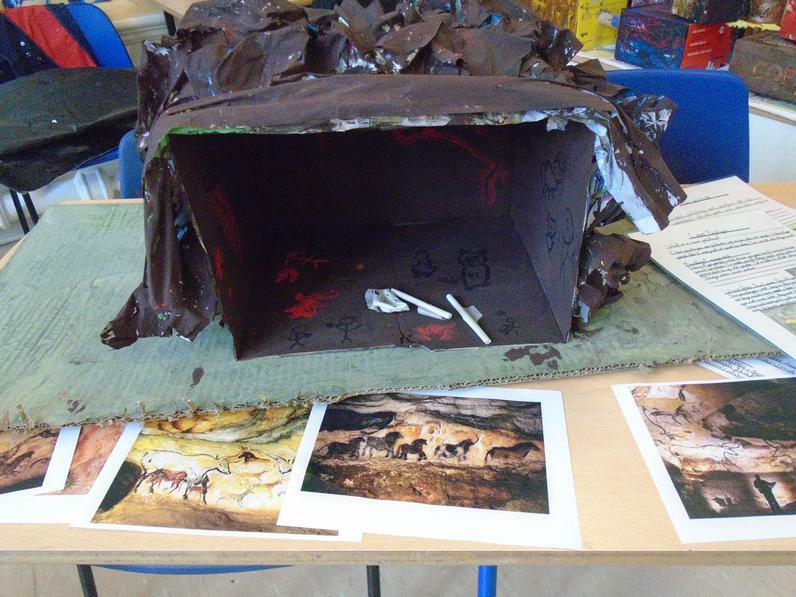 Year 4's amazing cave paintings. 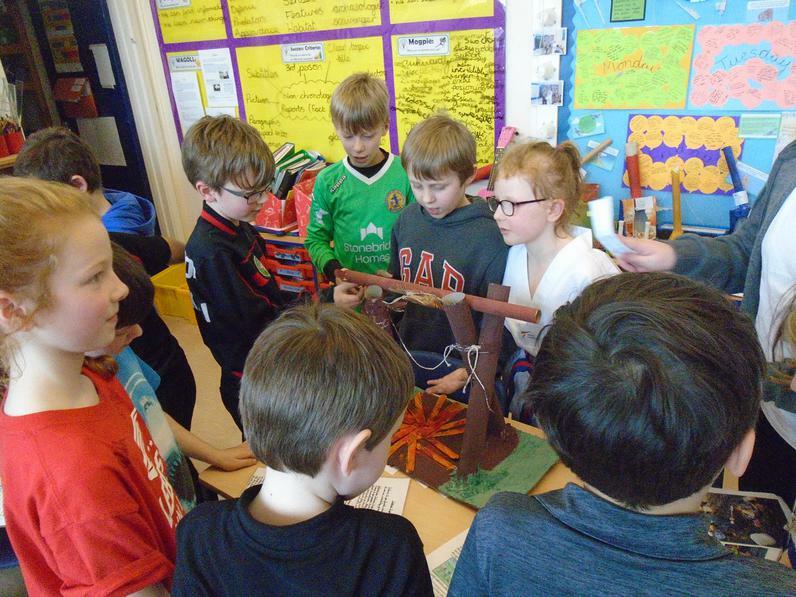 We made this net ourselves at Skelton Grange. 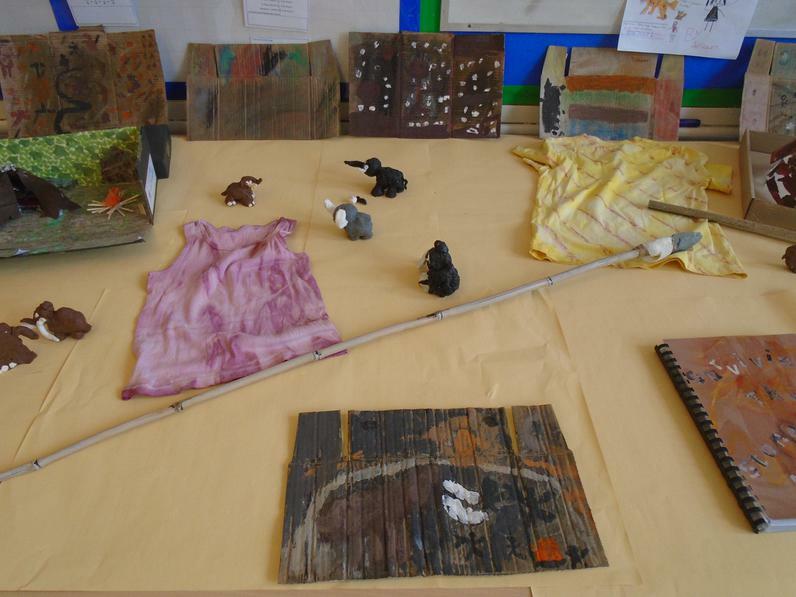 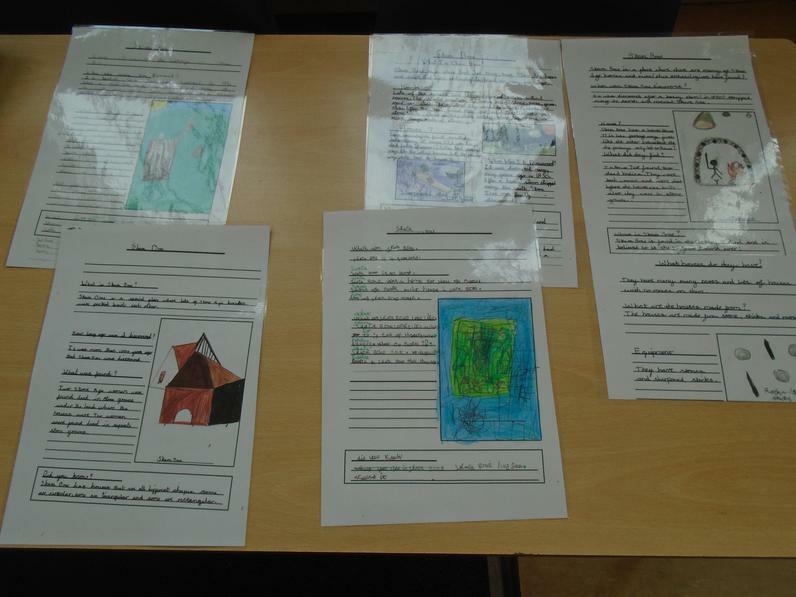 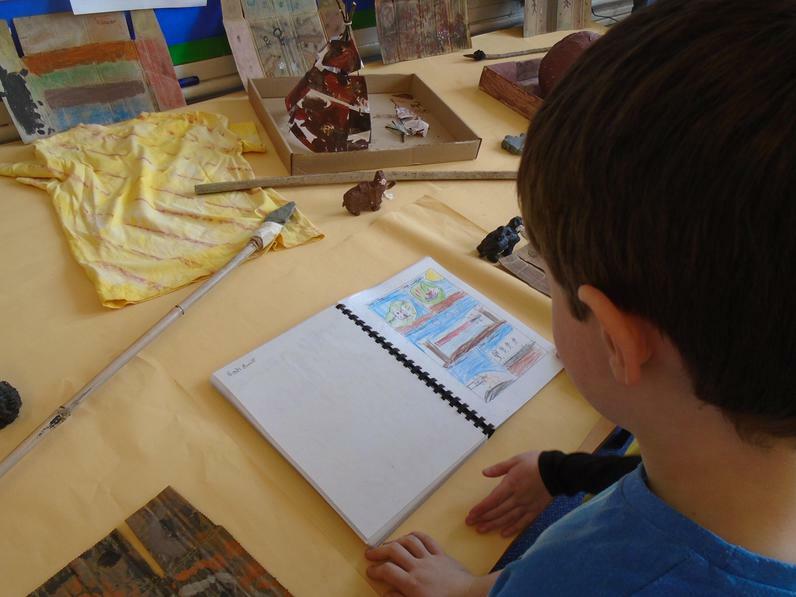 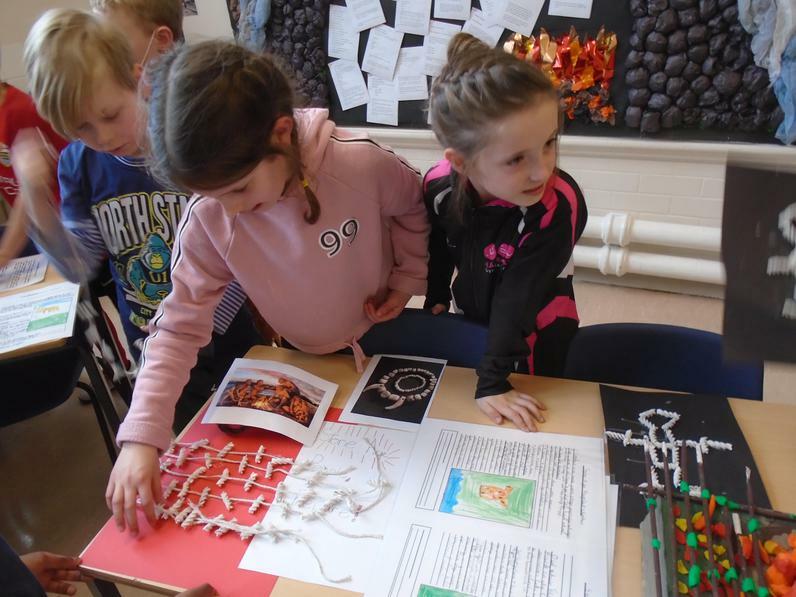 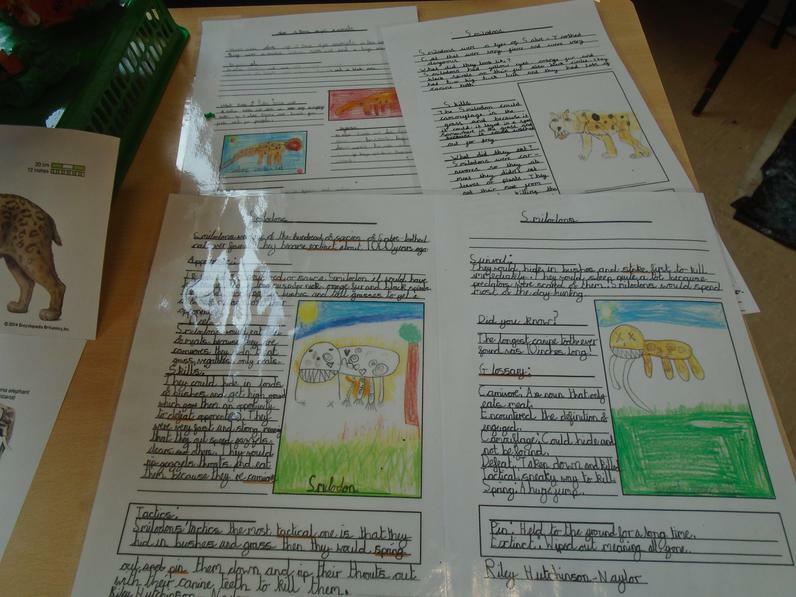 Art Gallery: Year 4 work. 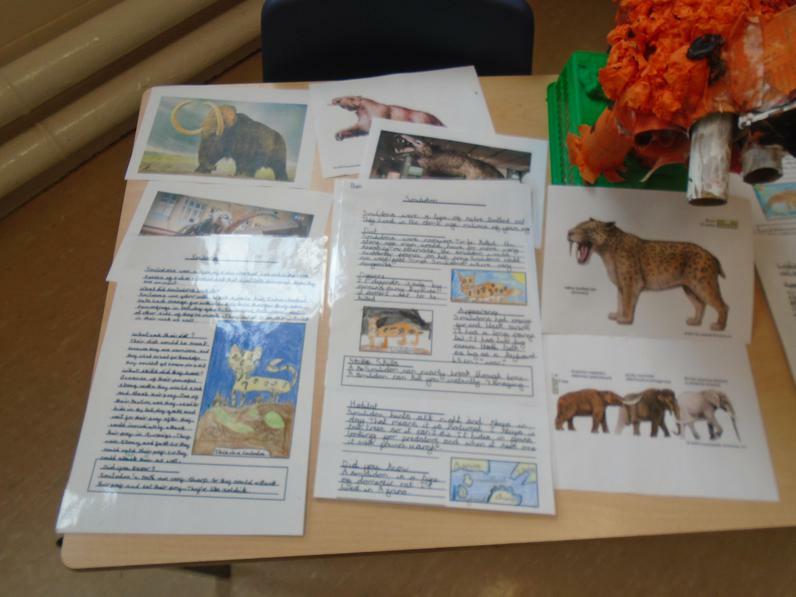 Some of our plasticine woolly mammoths. 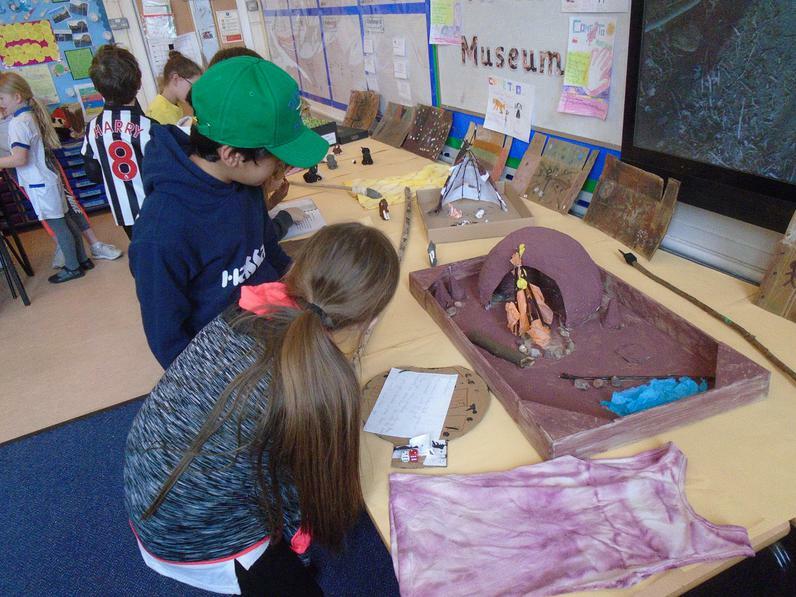 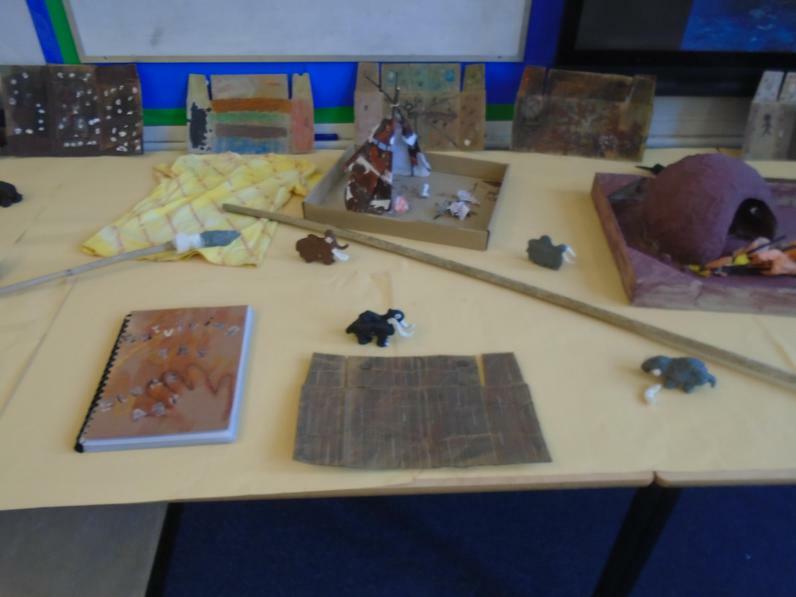 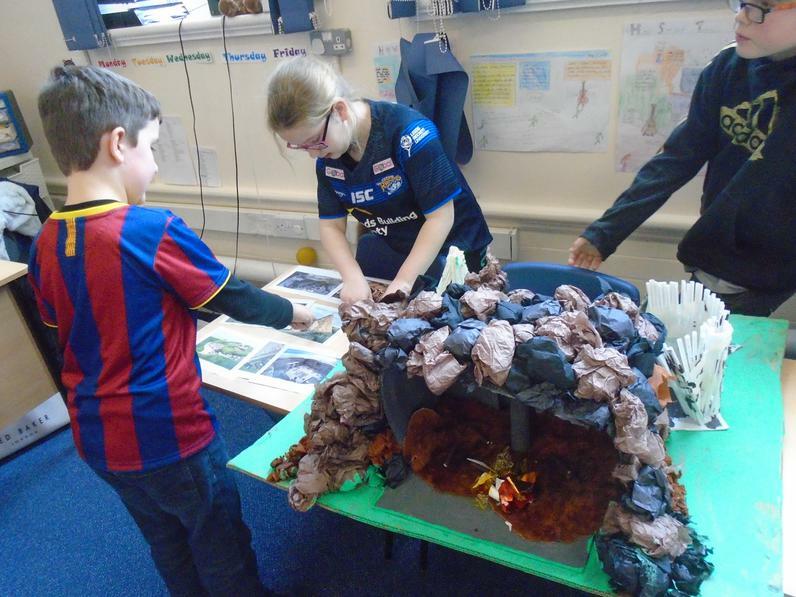 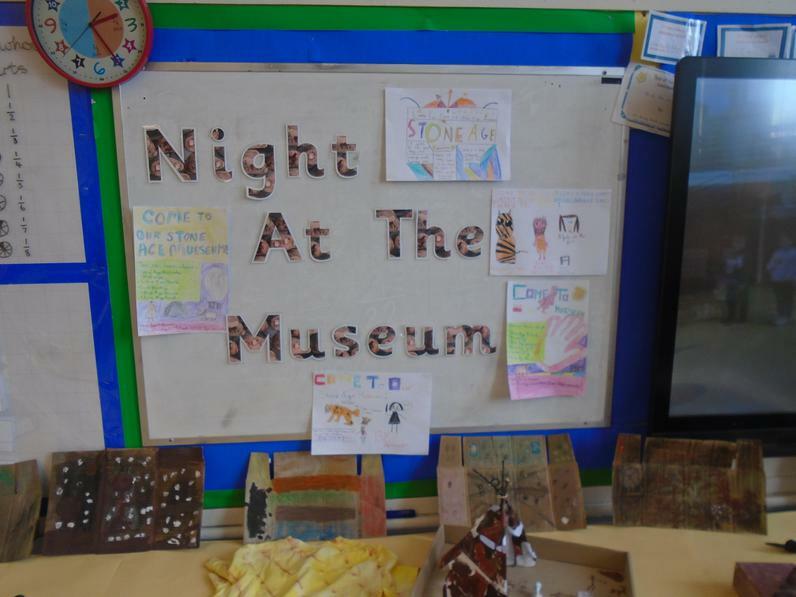 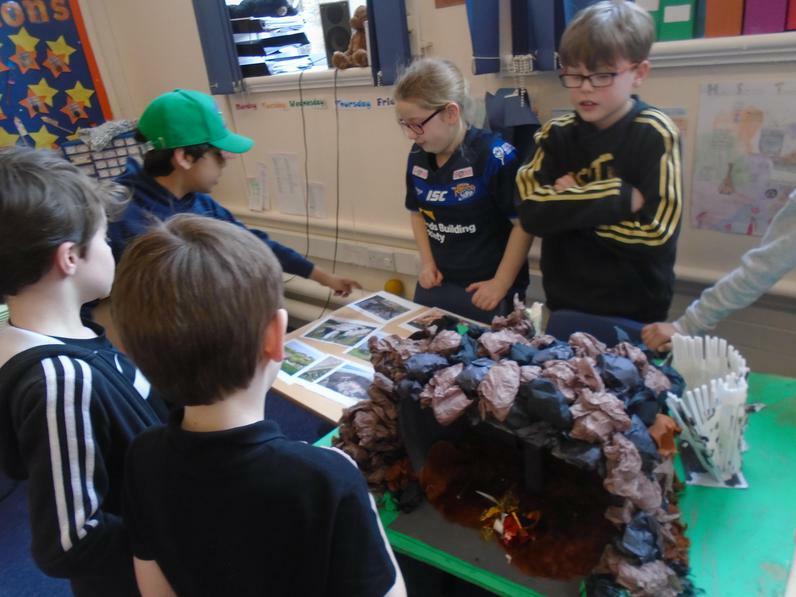 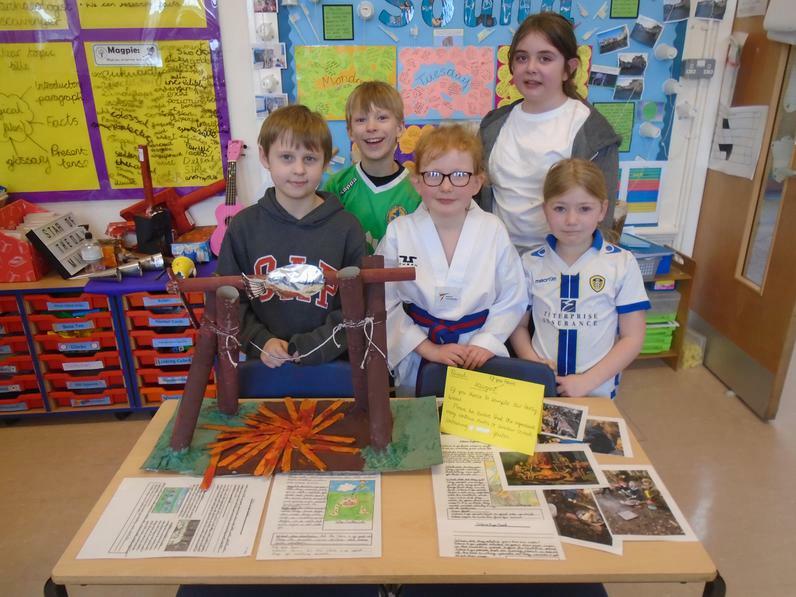 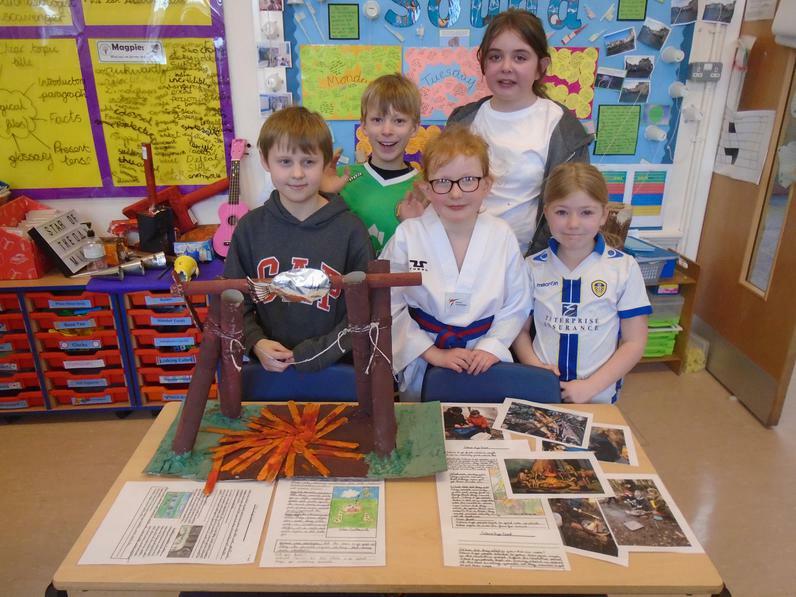 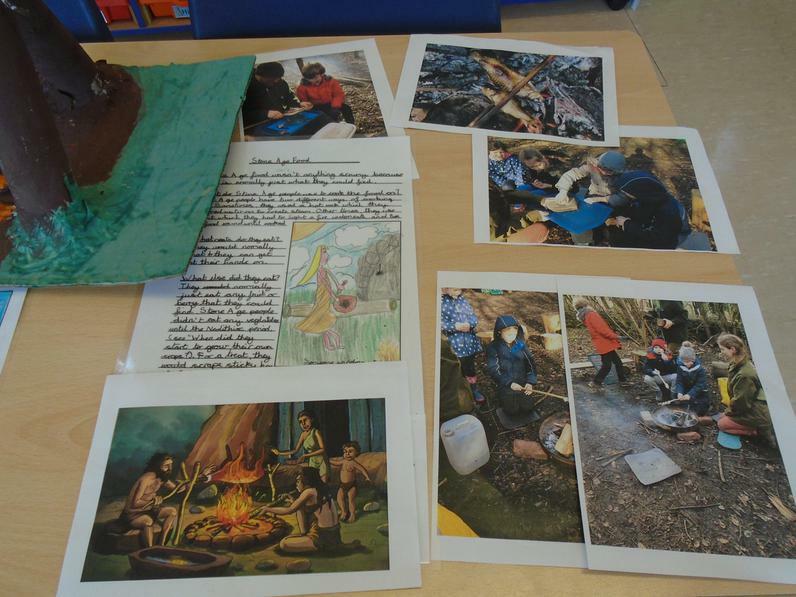 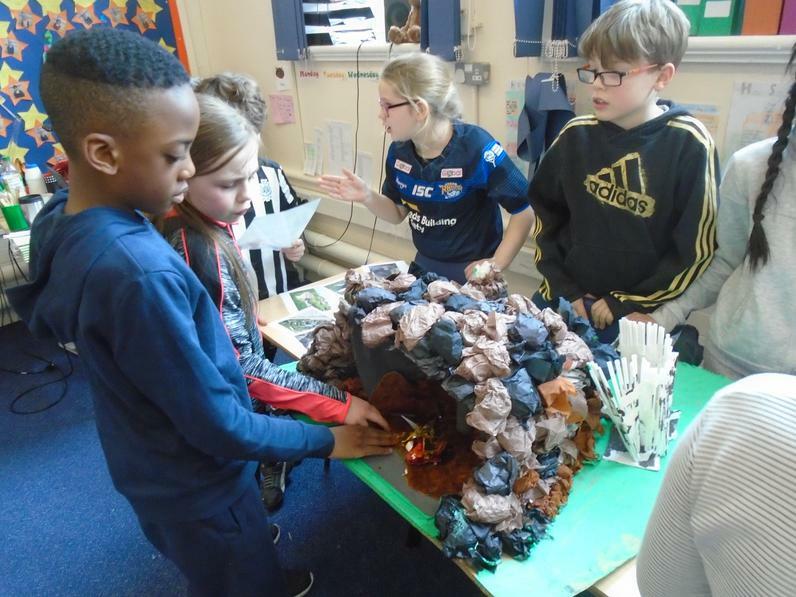 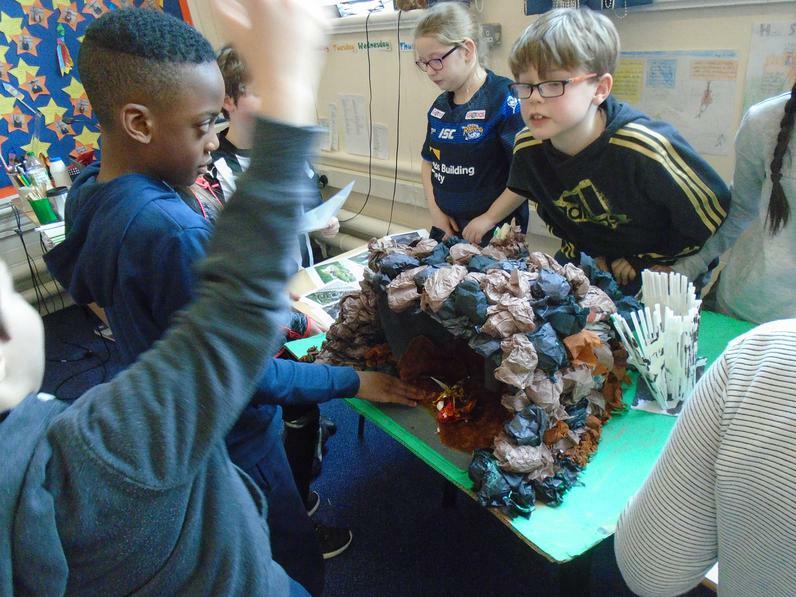 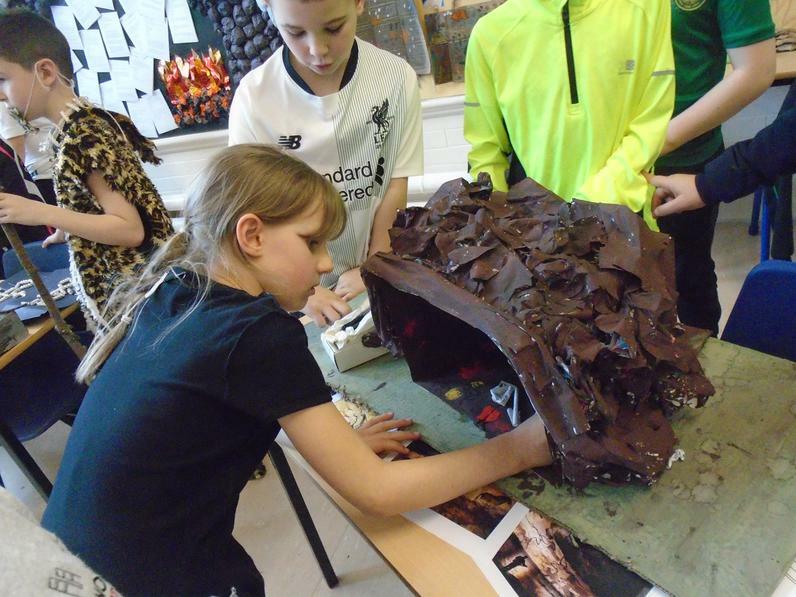 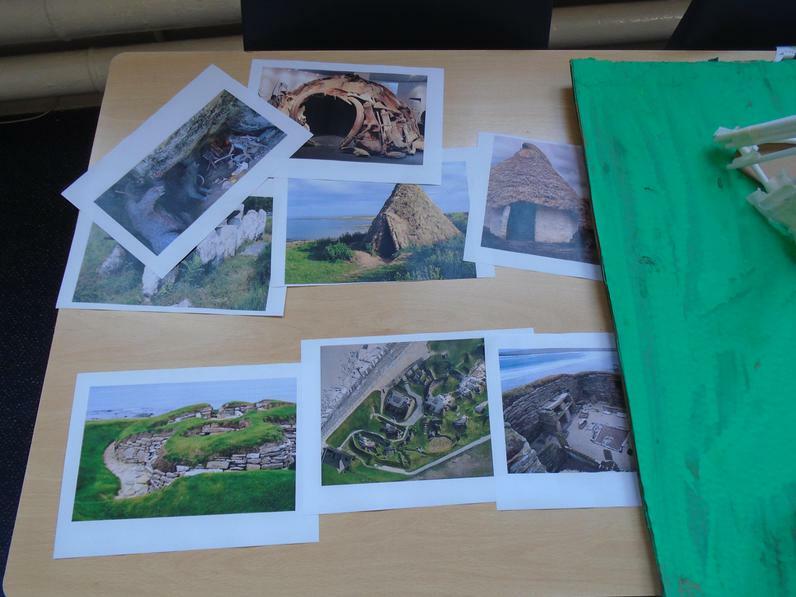 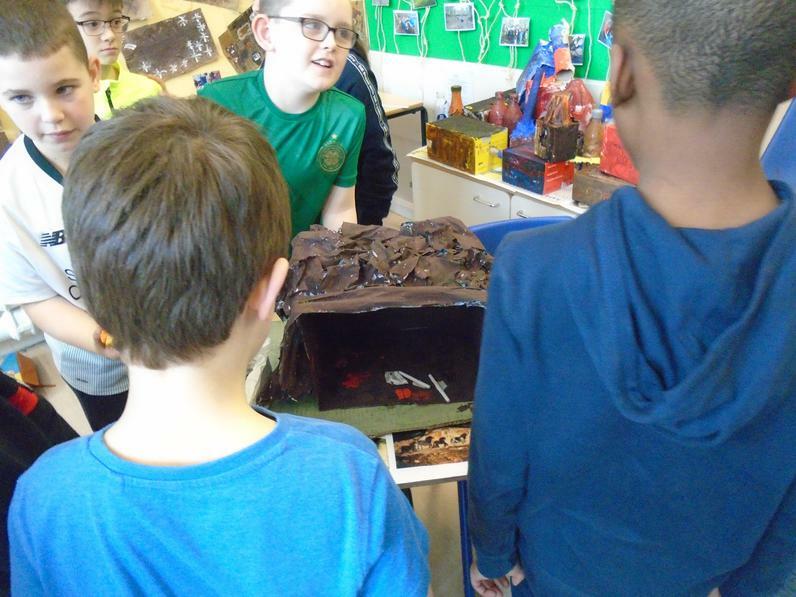 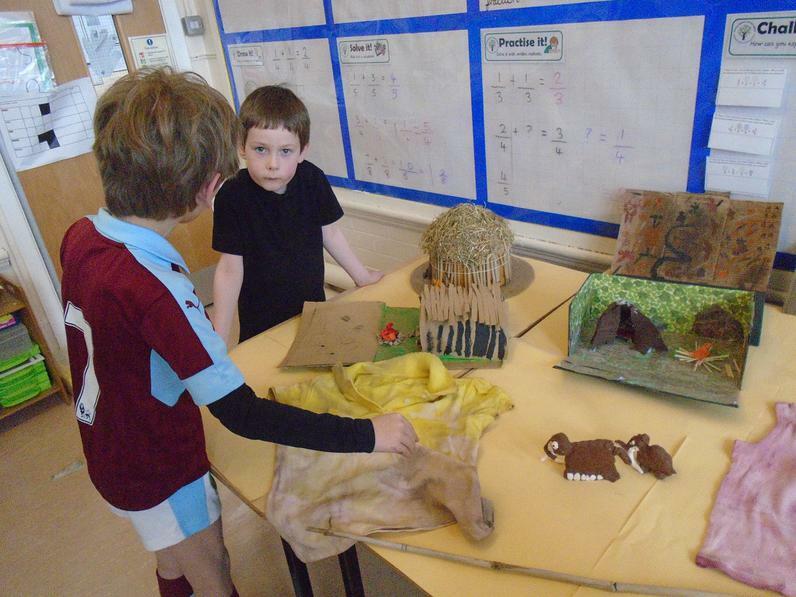 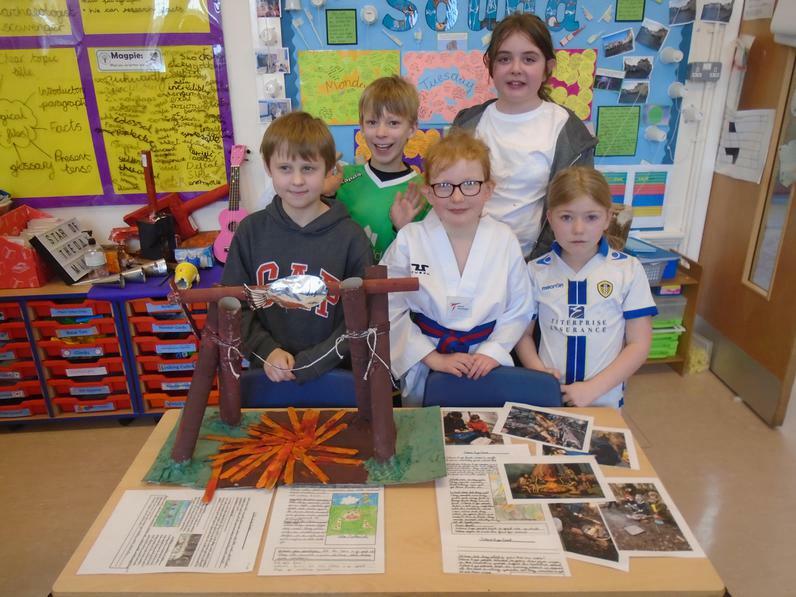 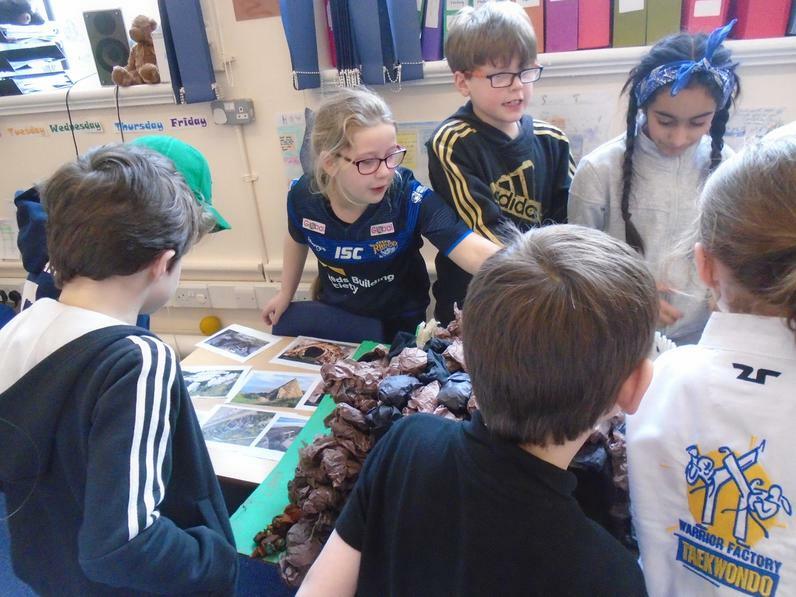 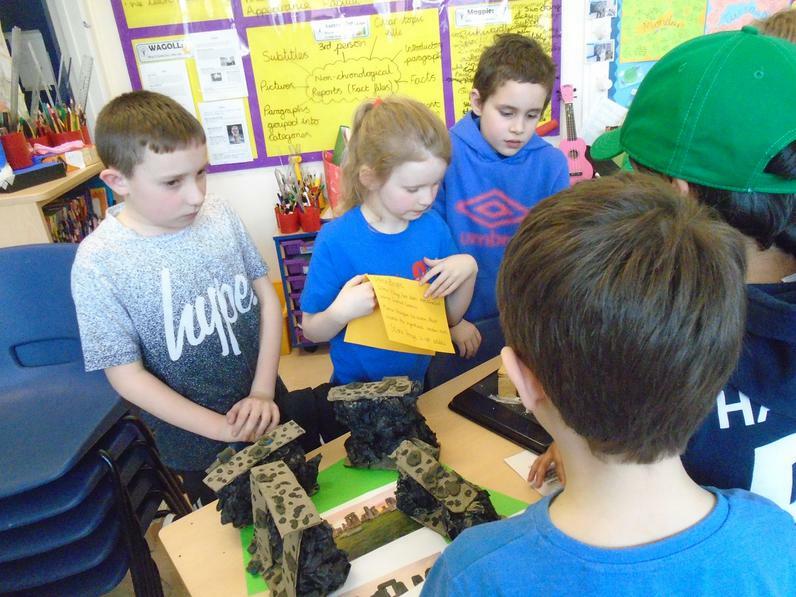 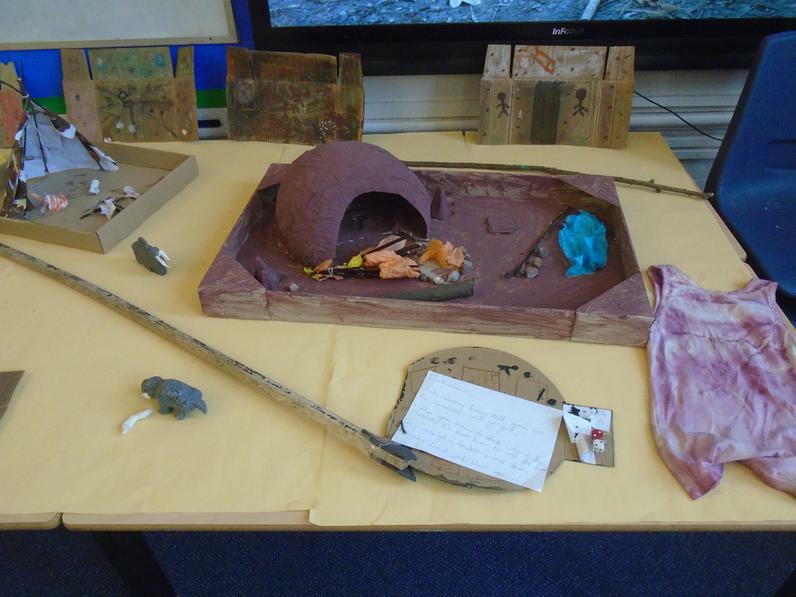 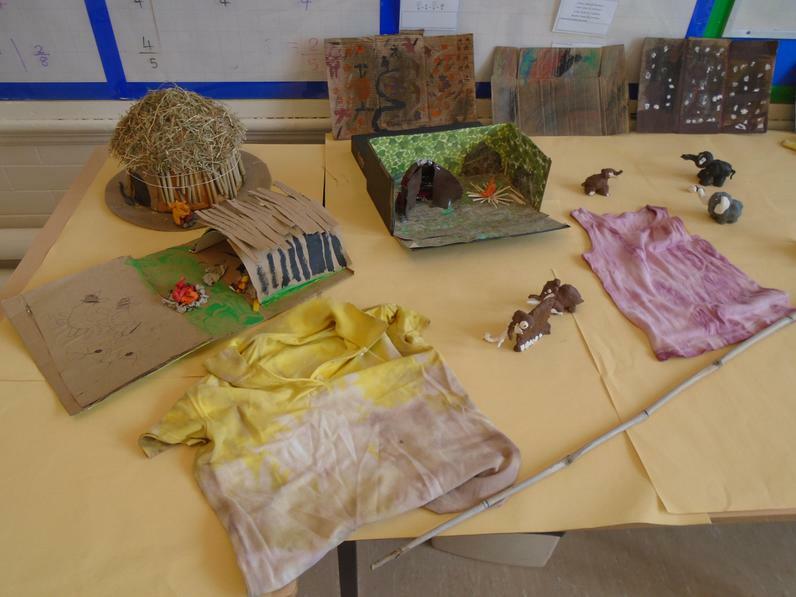 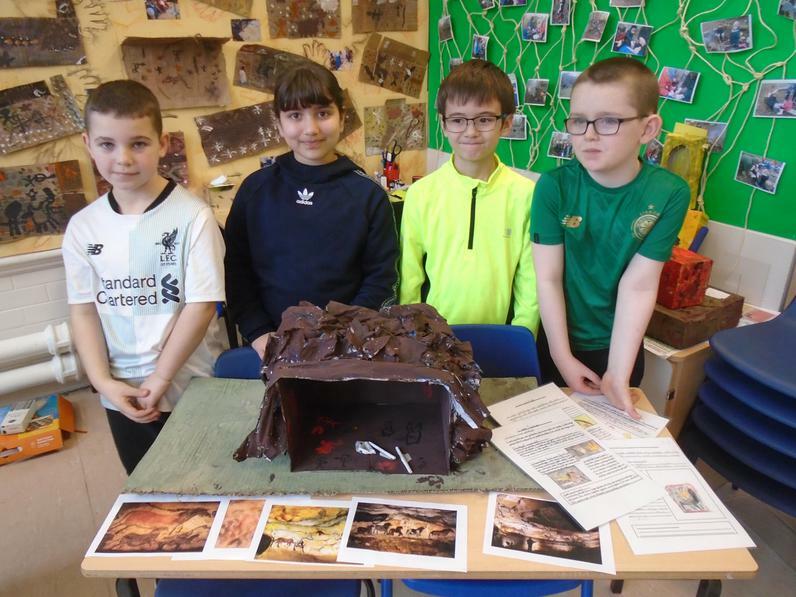 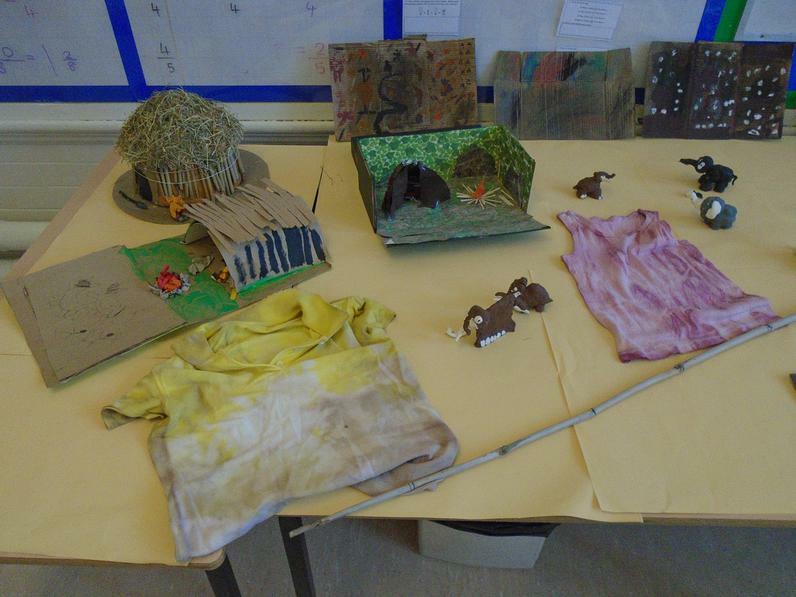 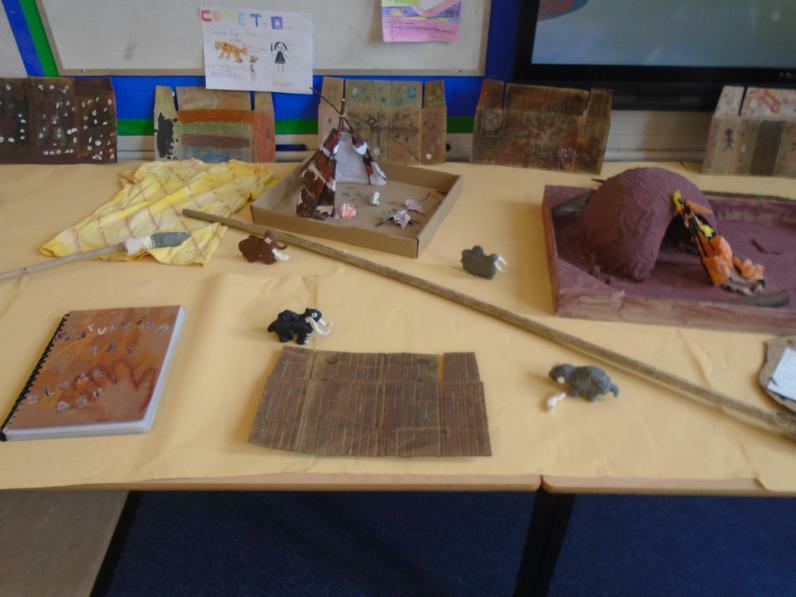 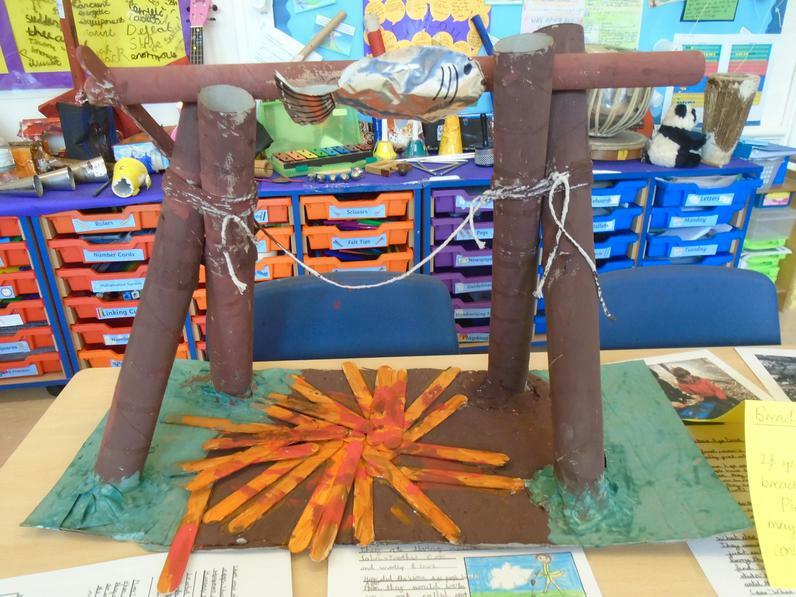 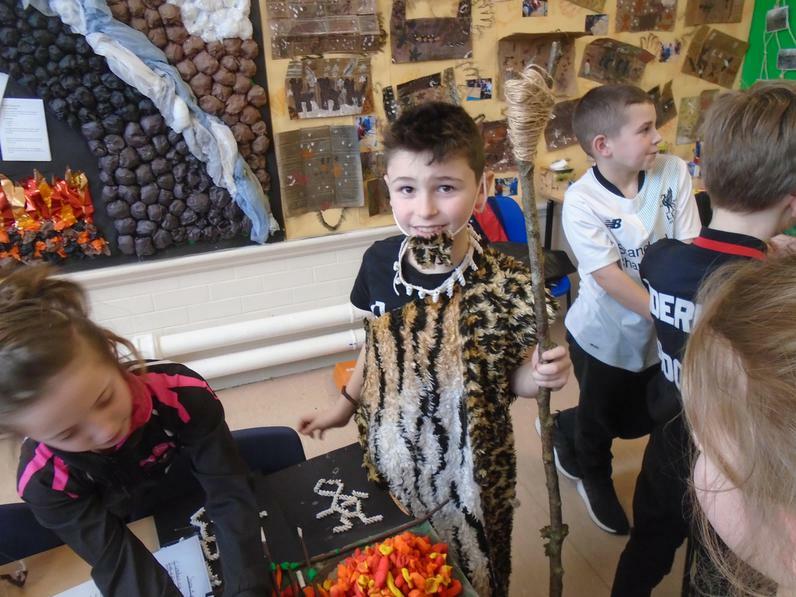 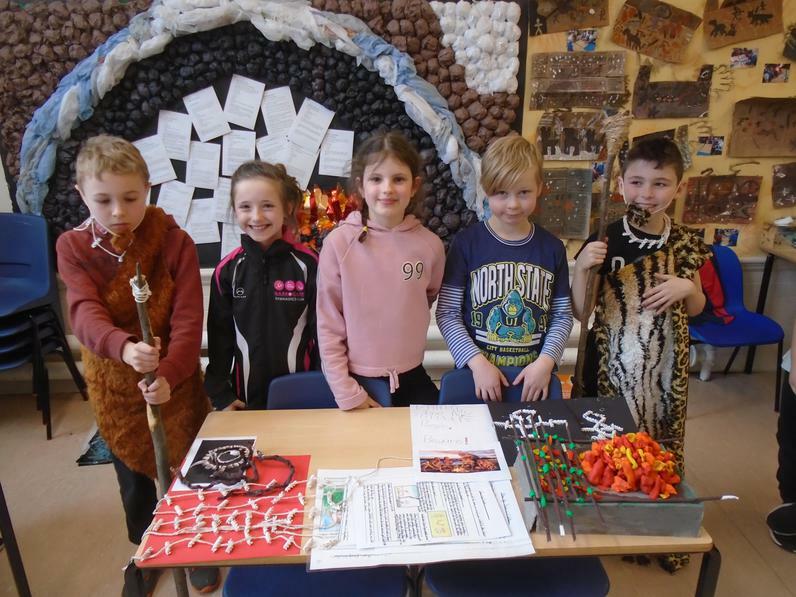 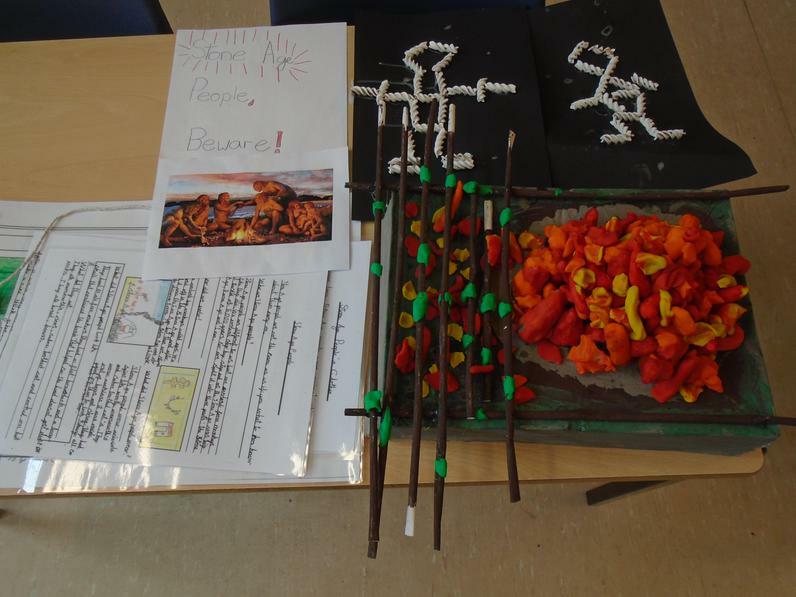 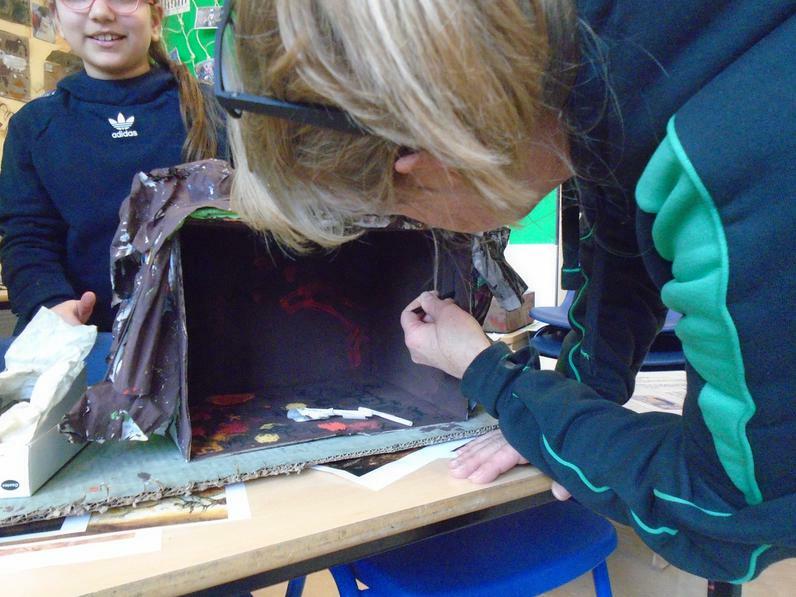 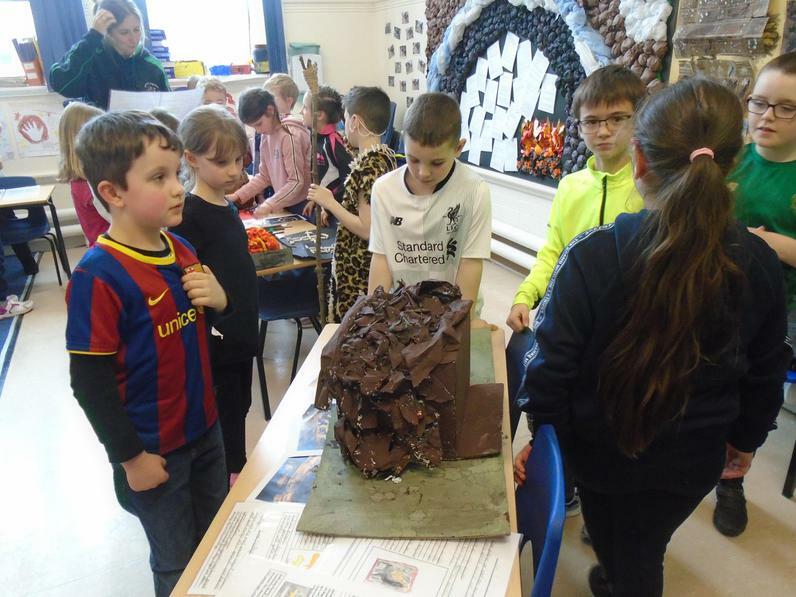 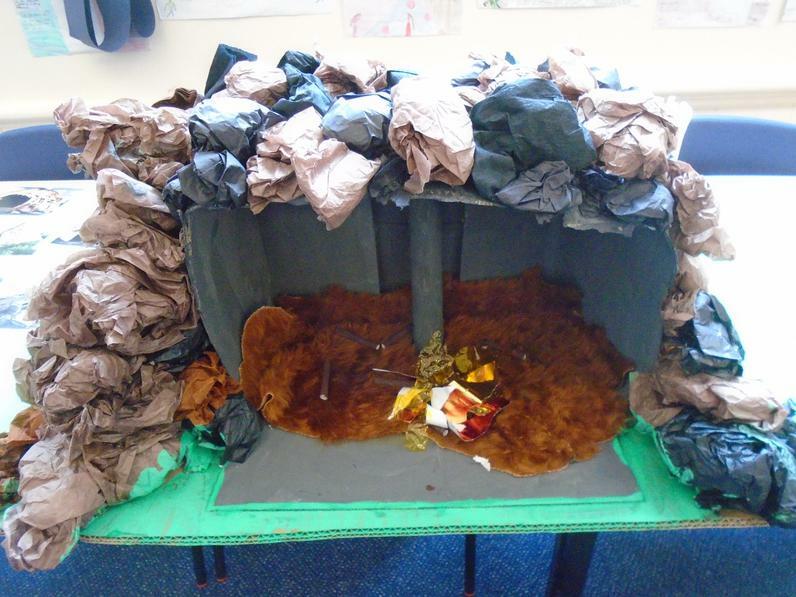 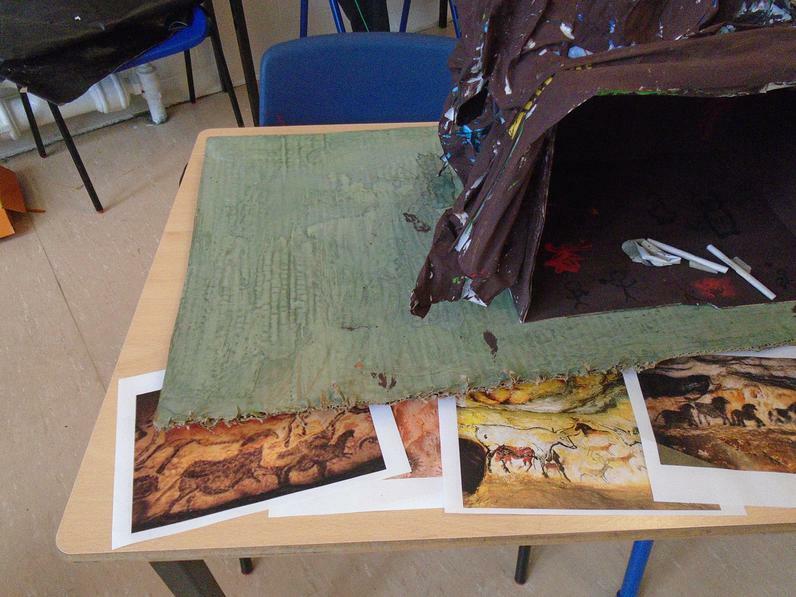 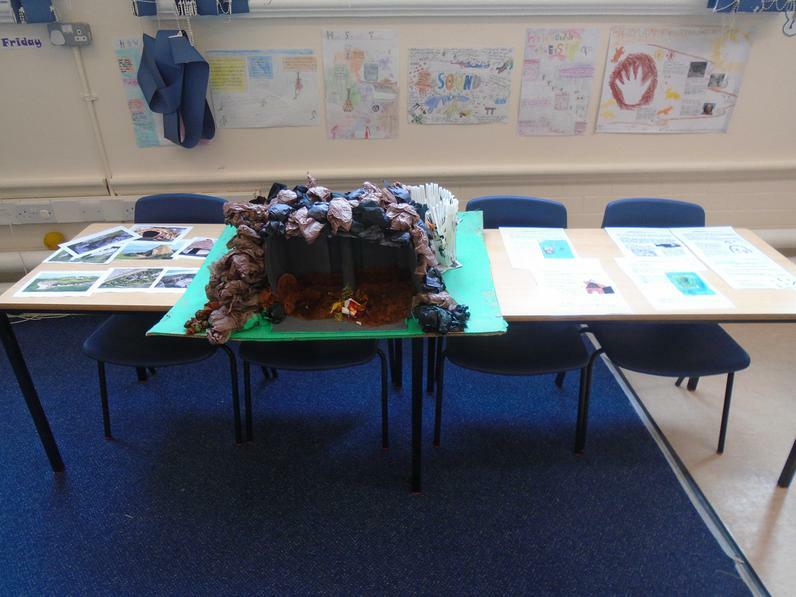 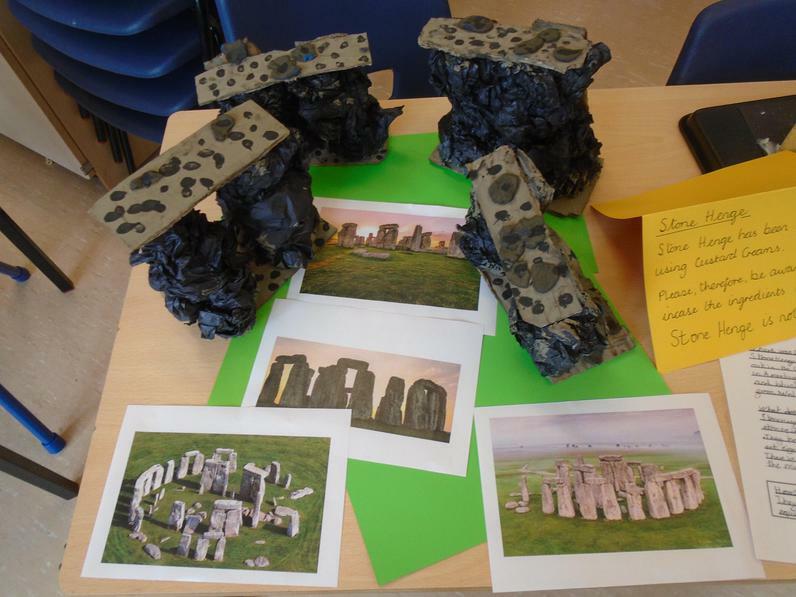 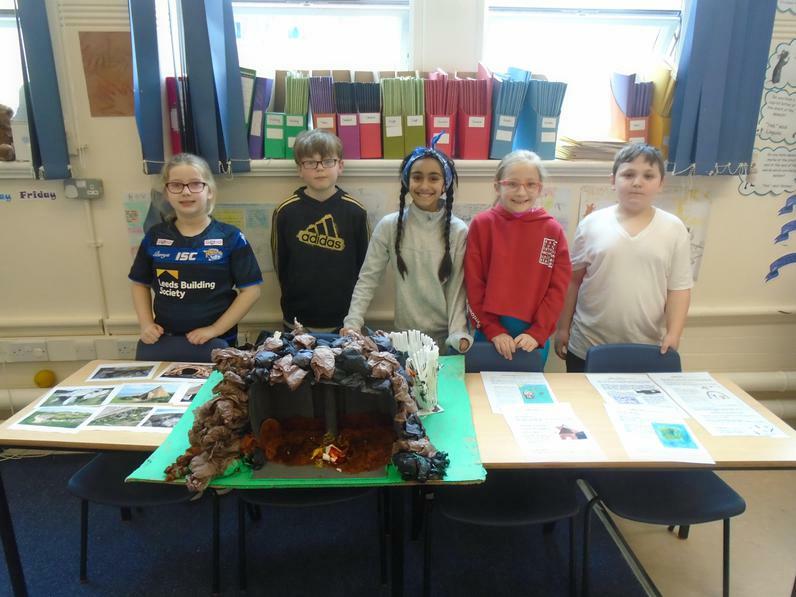 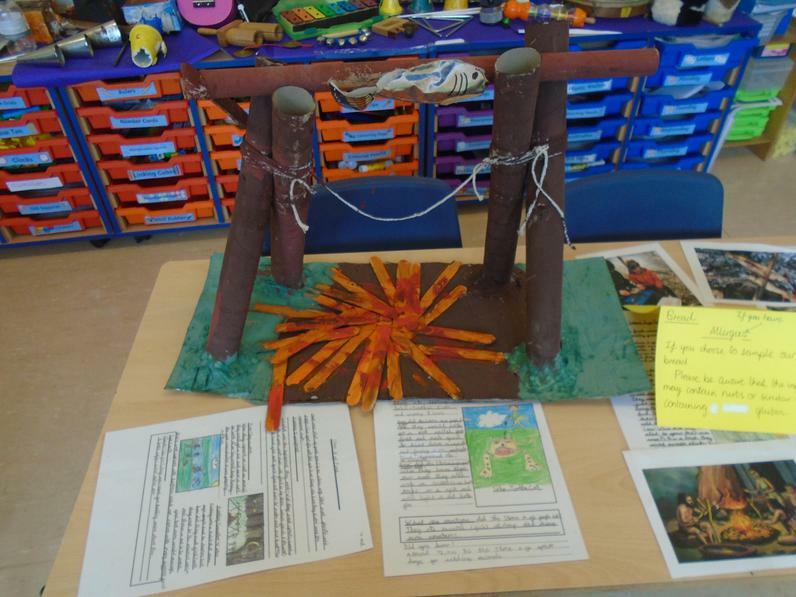 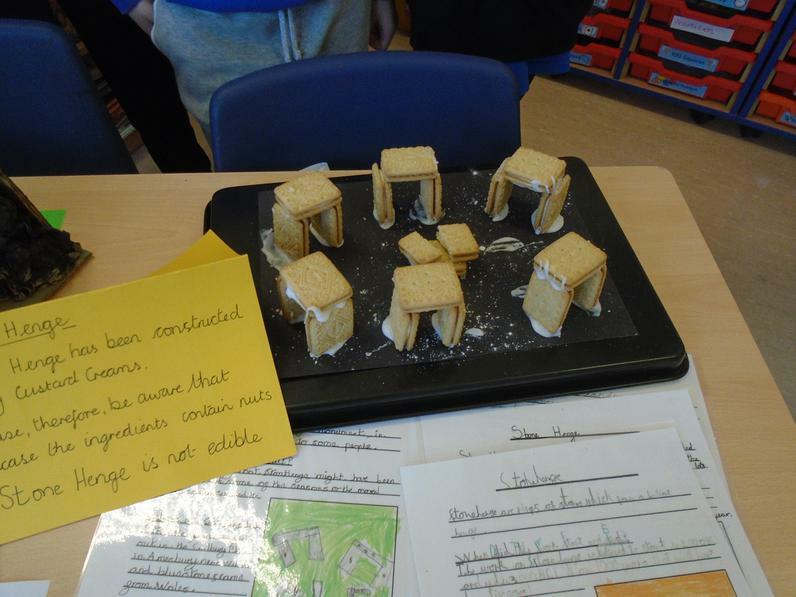 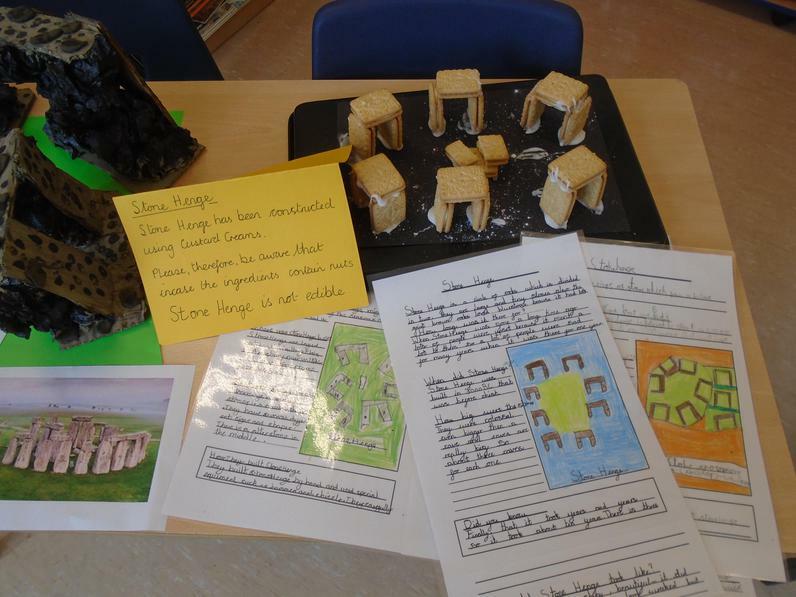 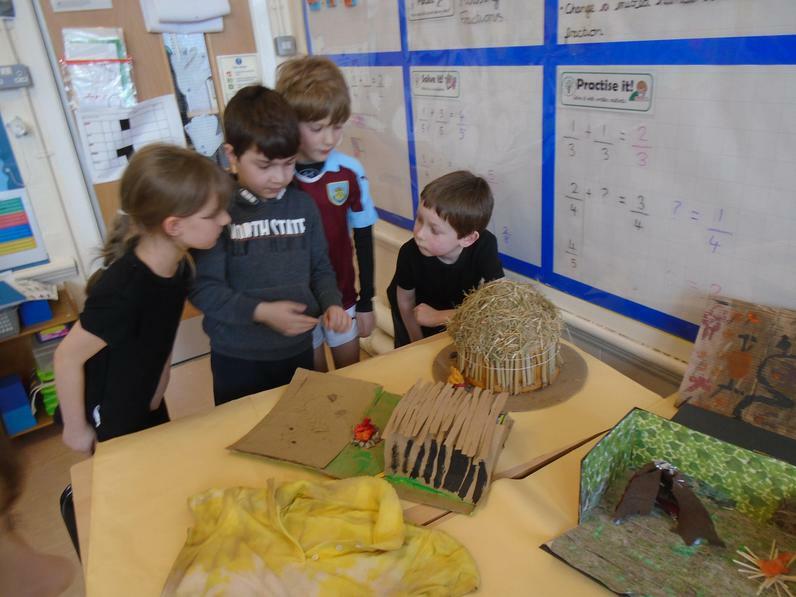 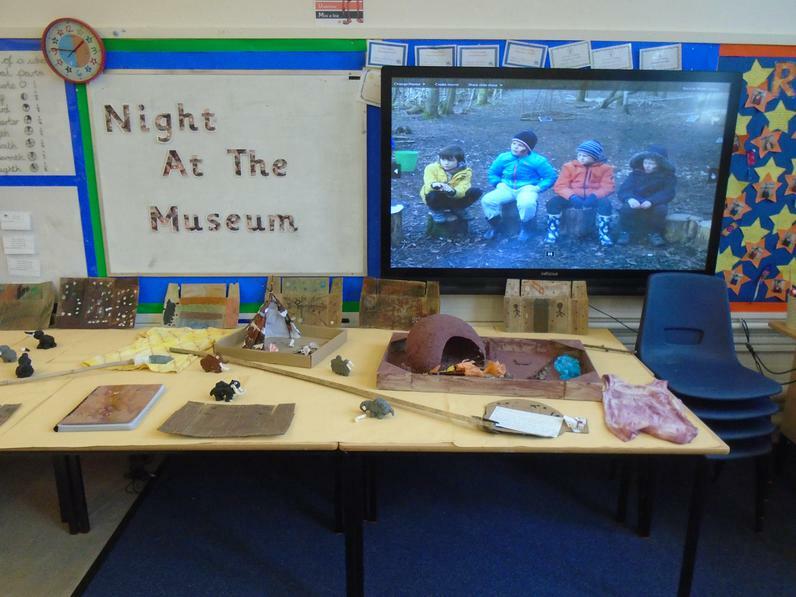 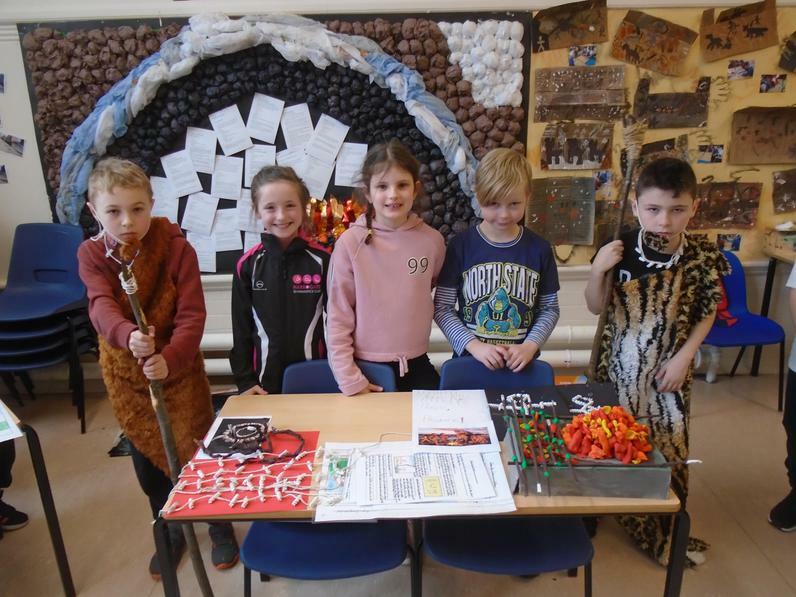 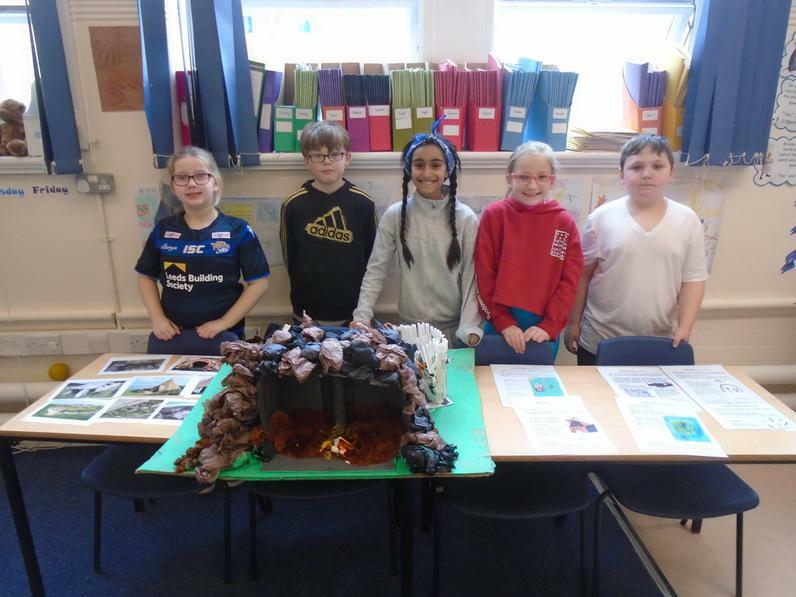 Some Year 4 pupils have made Stone Age homes.